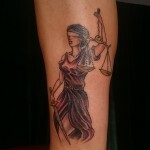 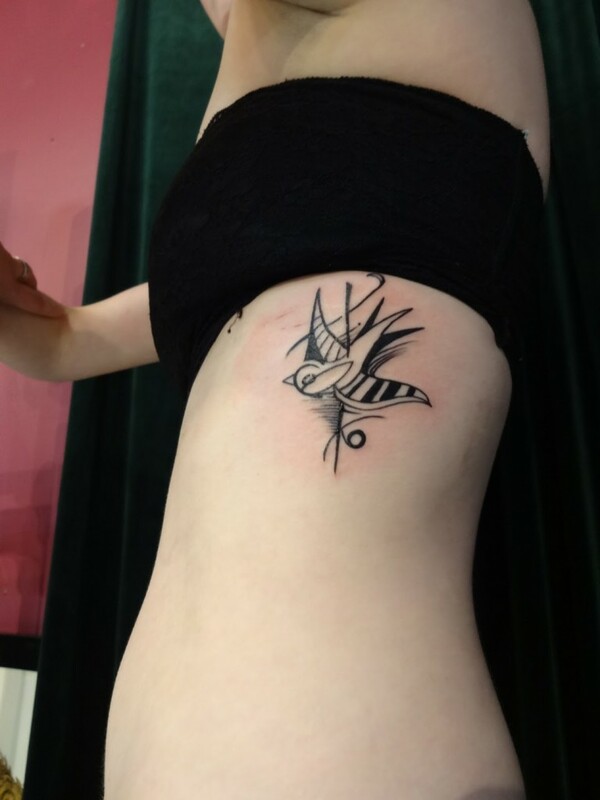 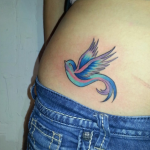 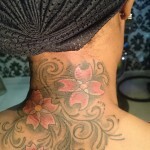 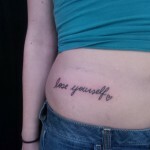 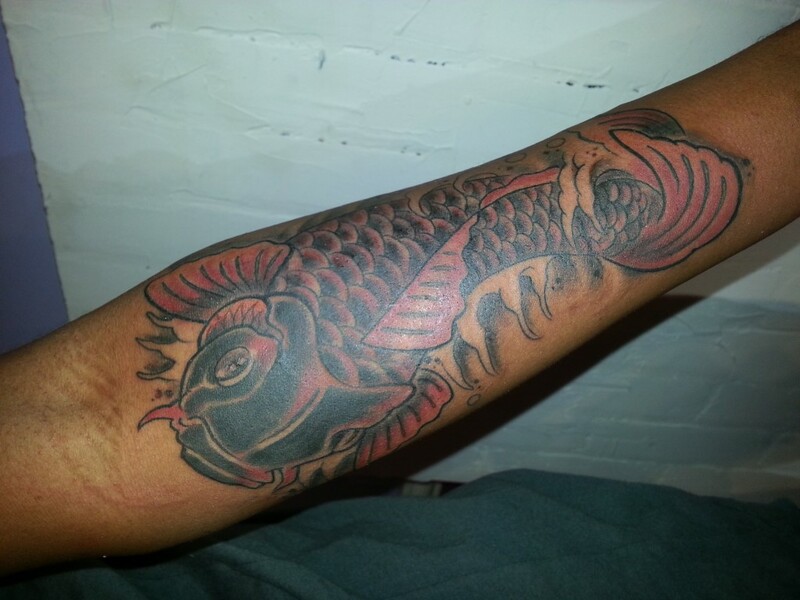 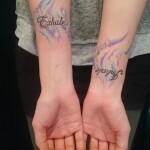 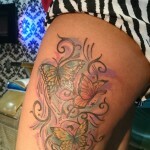 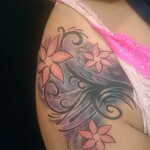 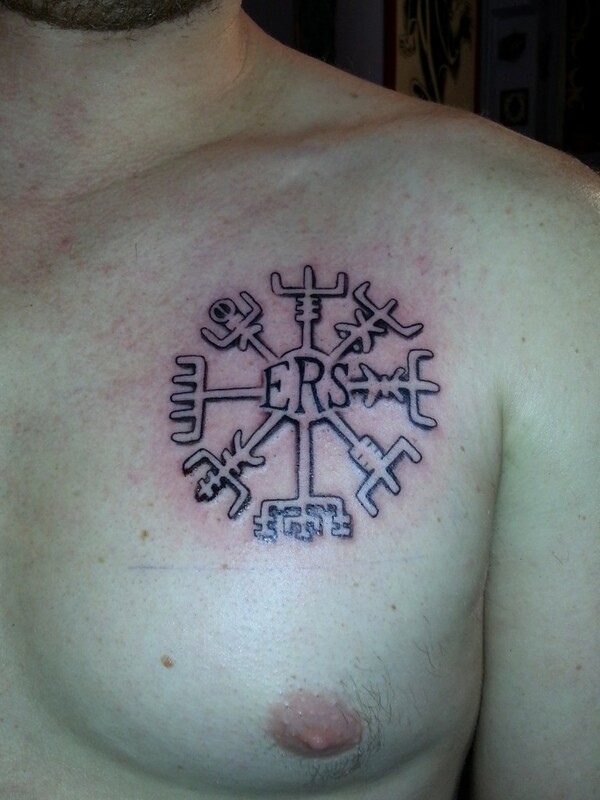 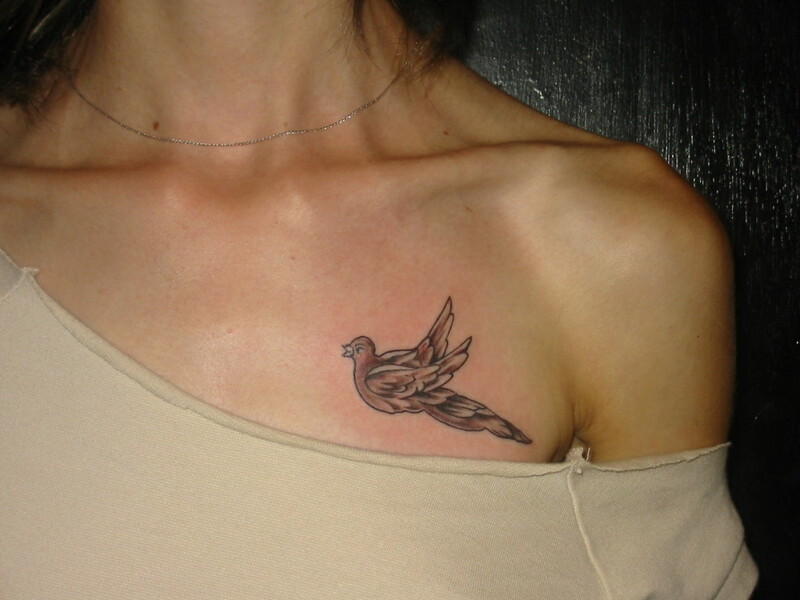 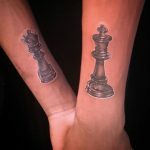 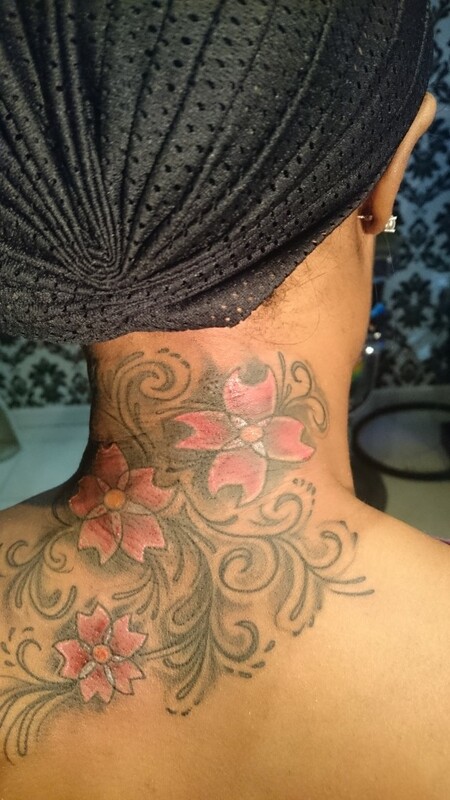 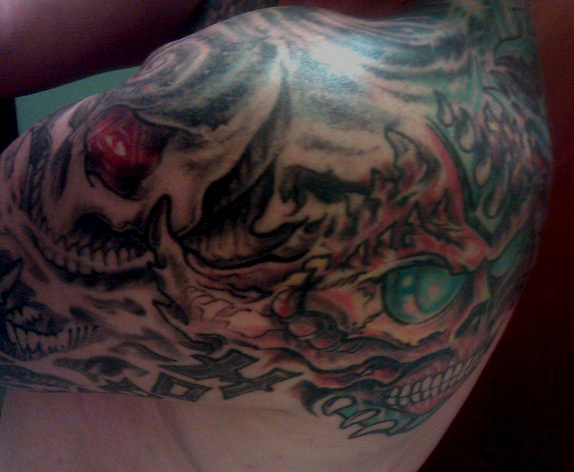 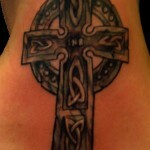 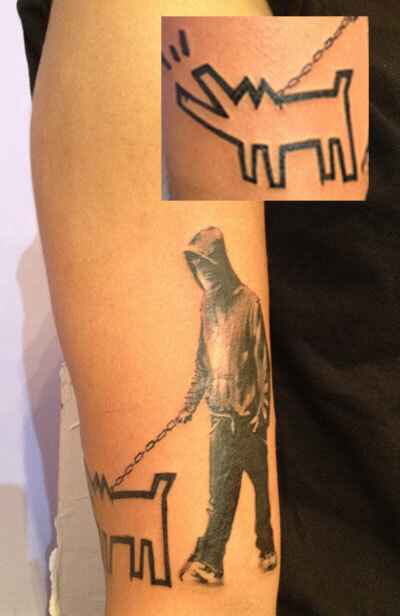 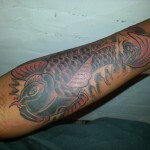 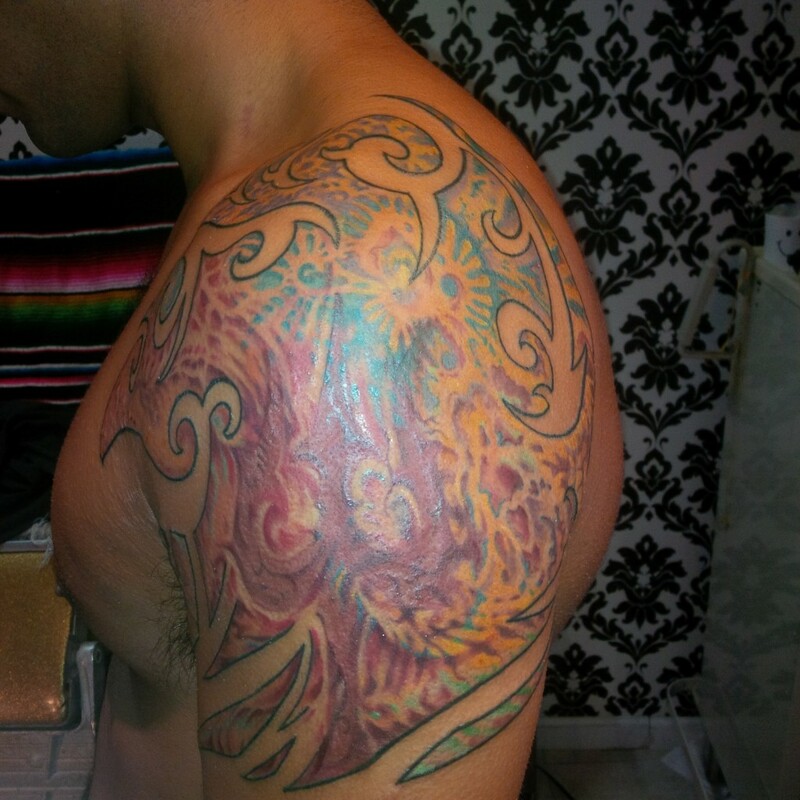 All tattoos shown below are custom drawn, designed and executed for each client by Adal Ray. 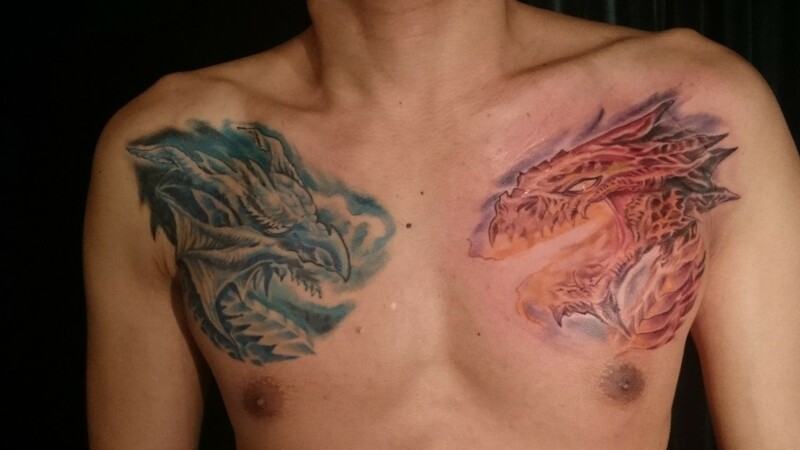 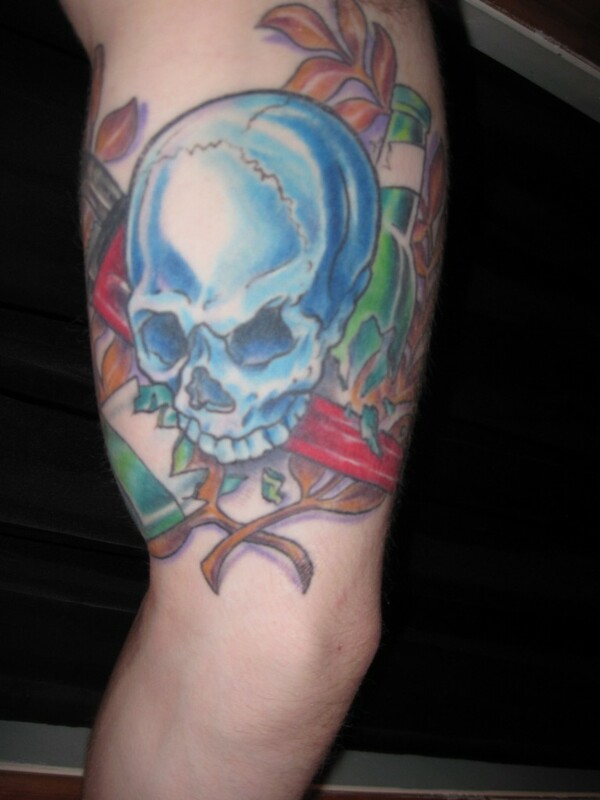 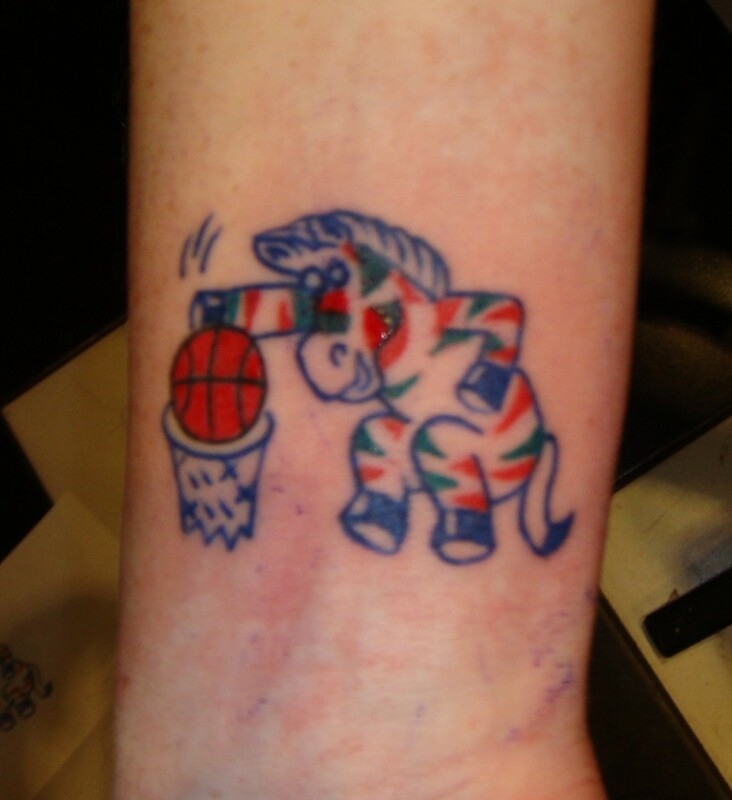 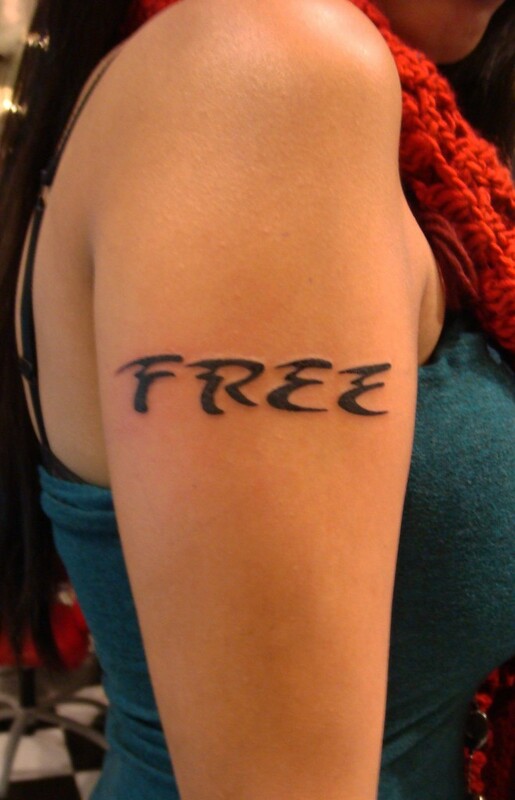 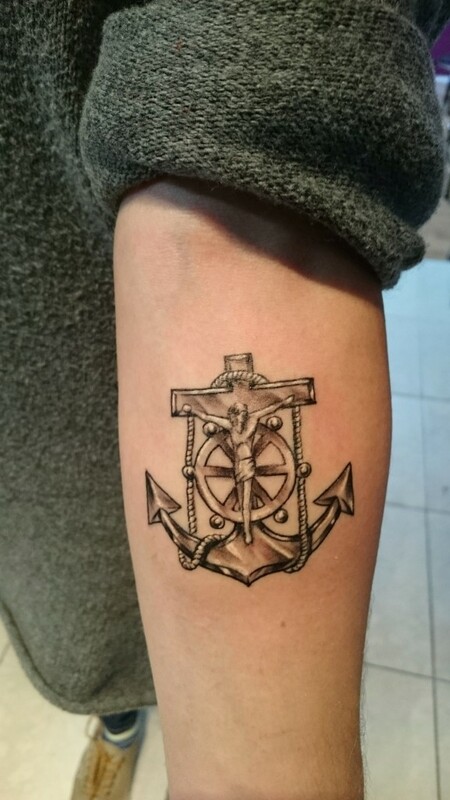 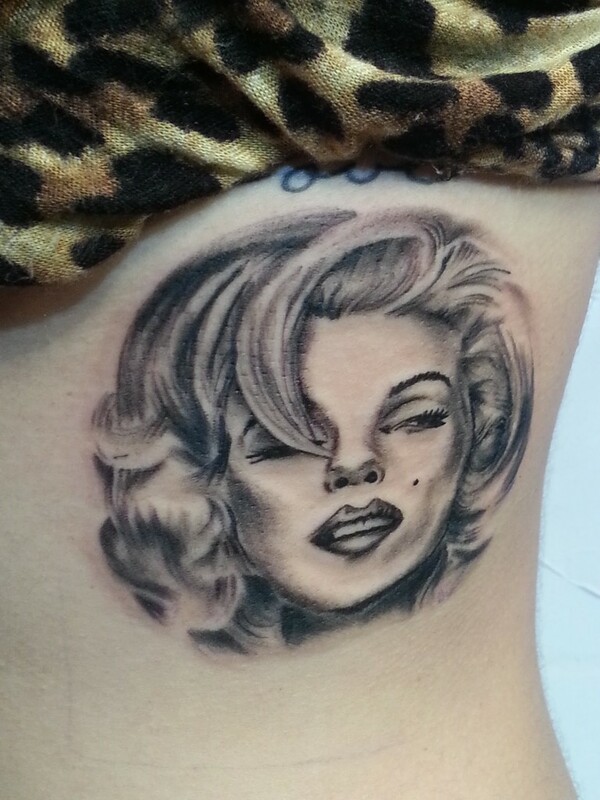 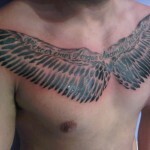 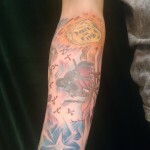 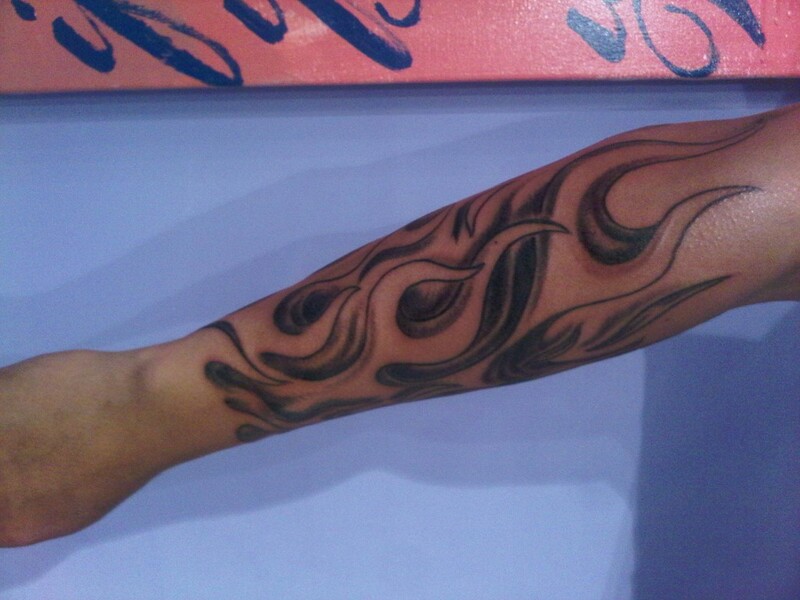 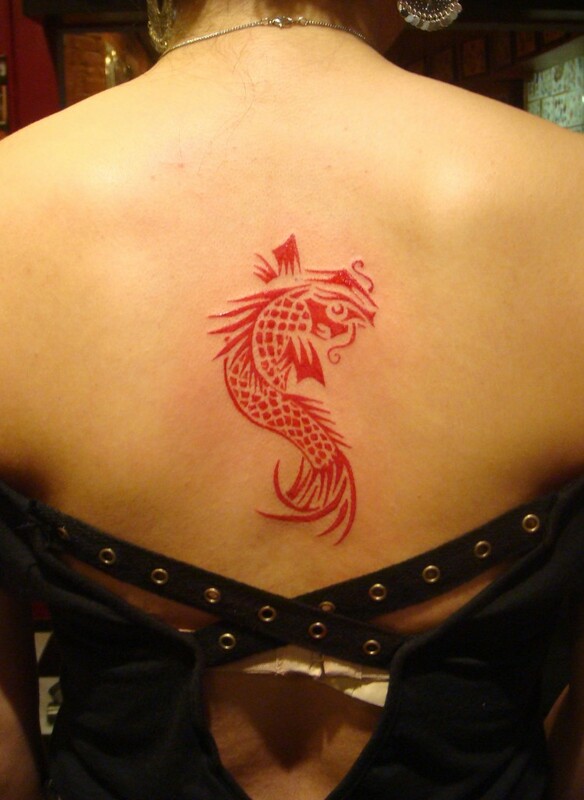 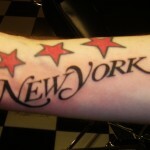 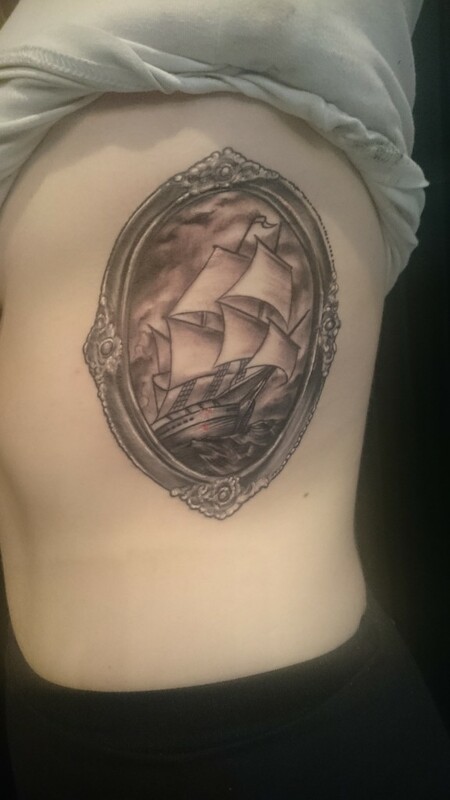 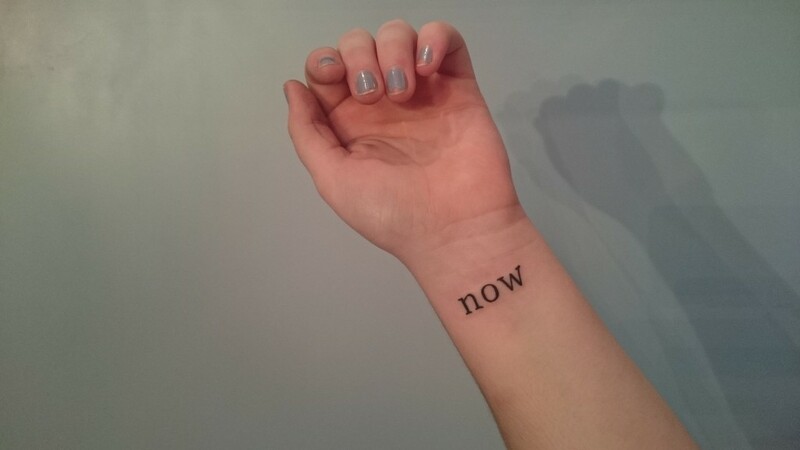 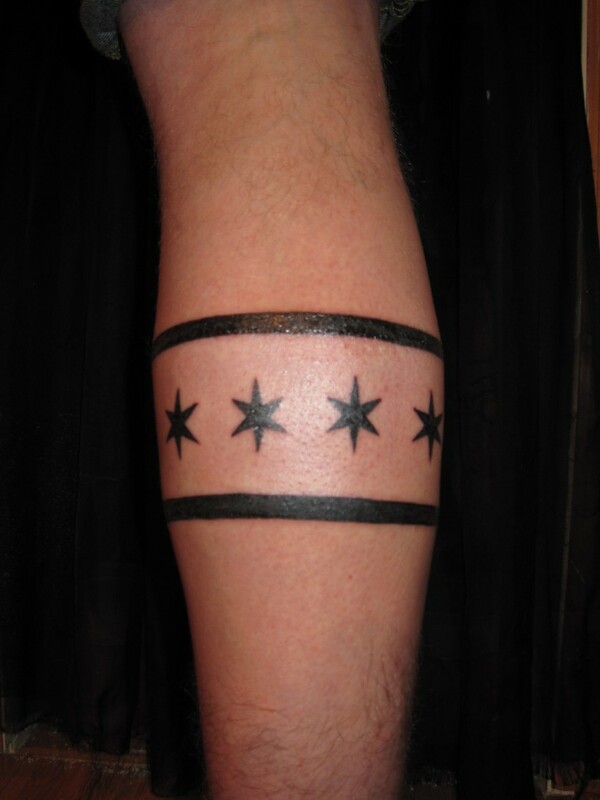 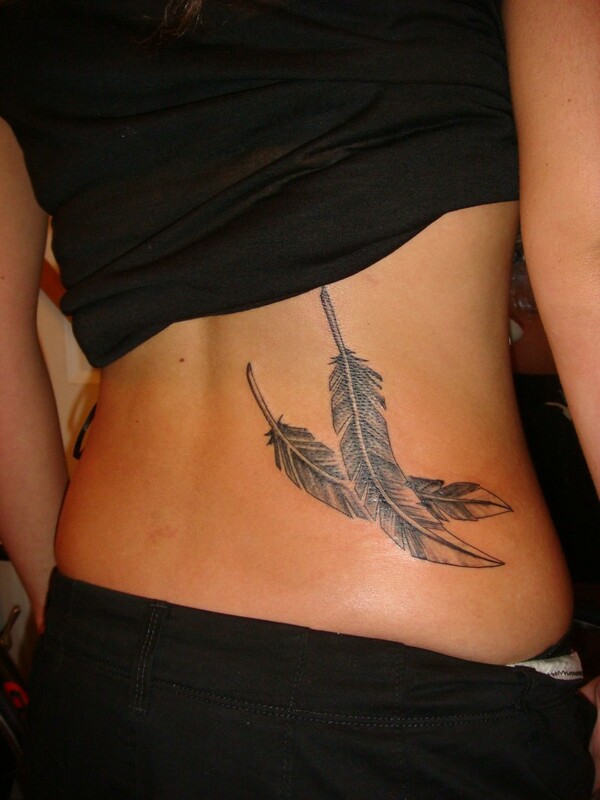 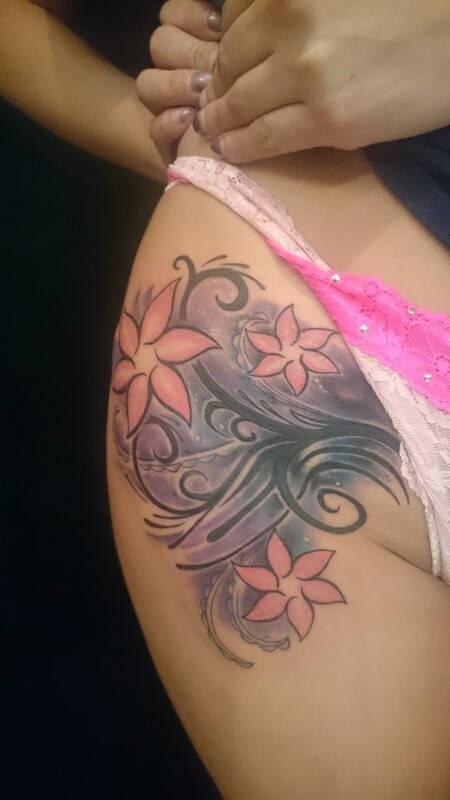 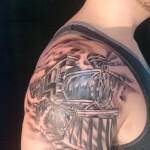 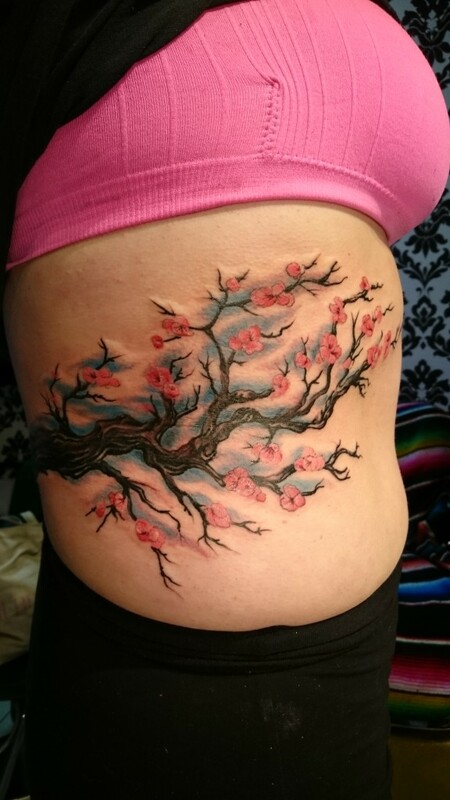 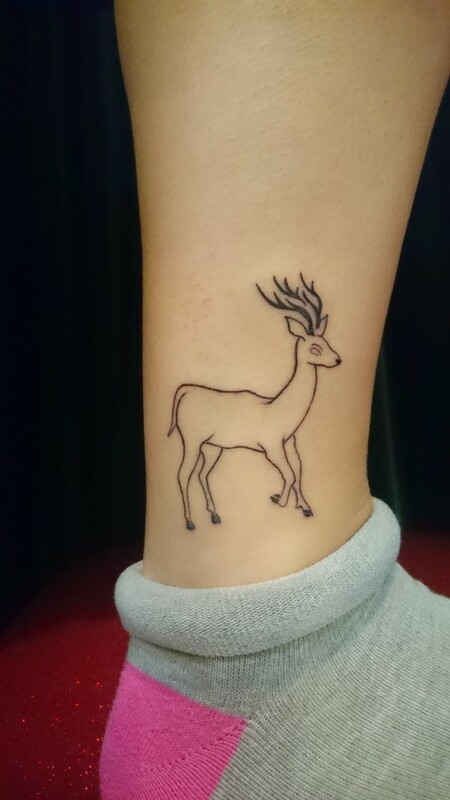 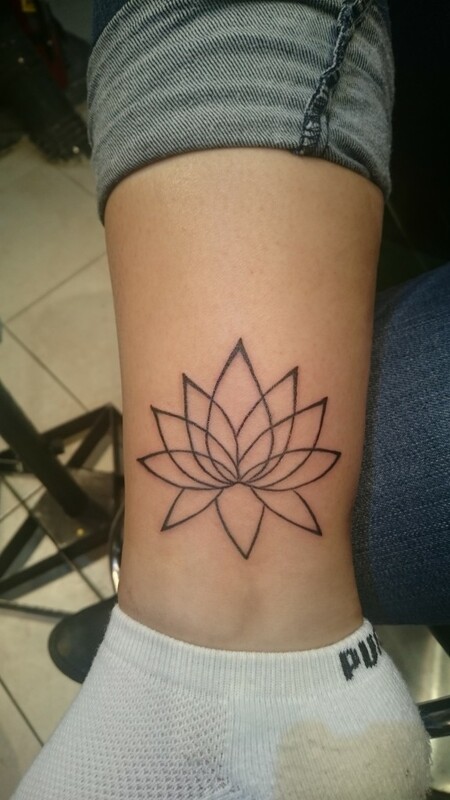 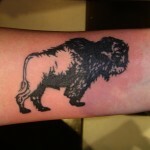 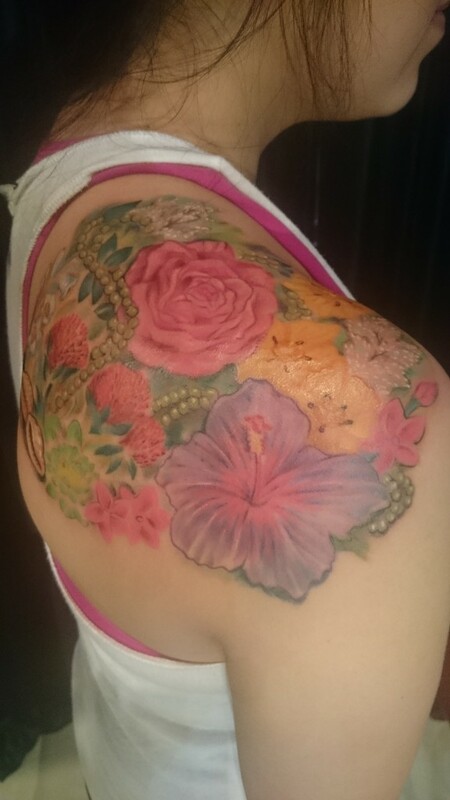 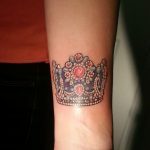 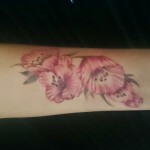 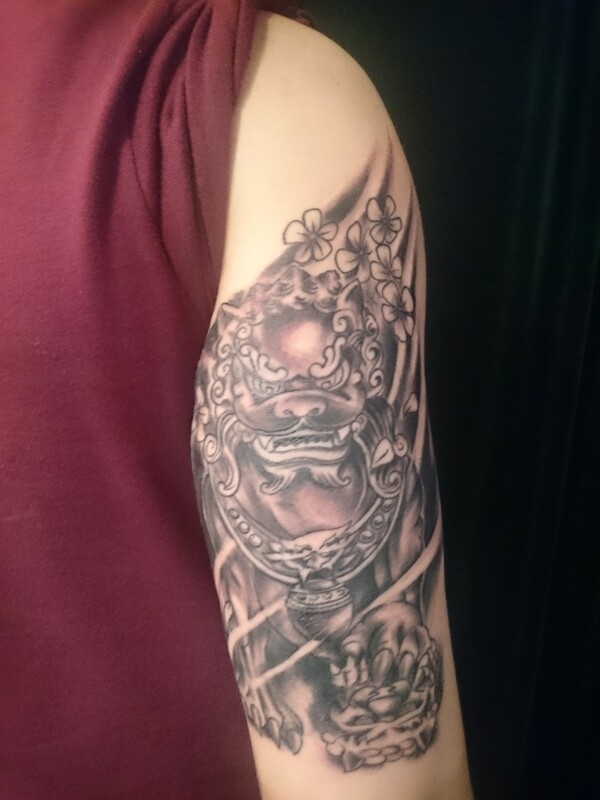 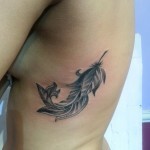 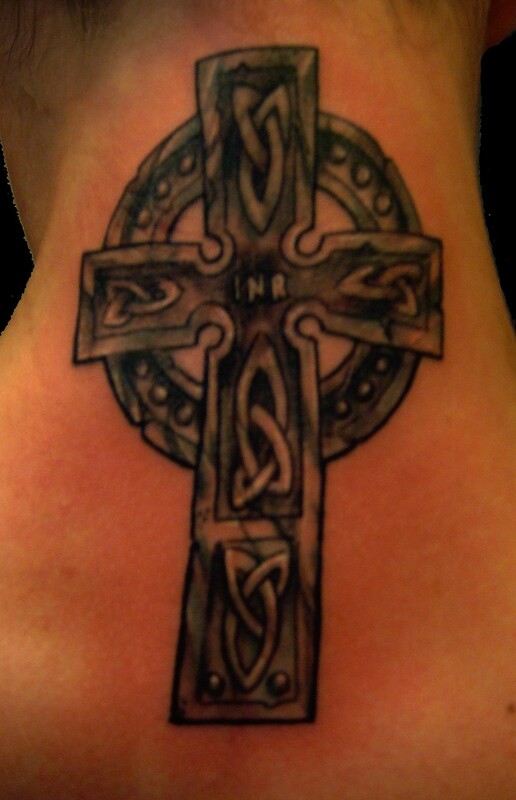 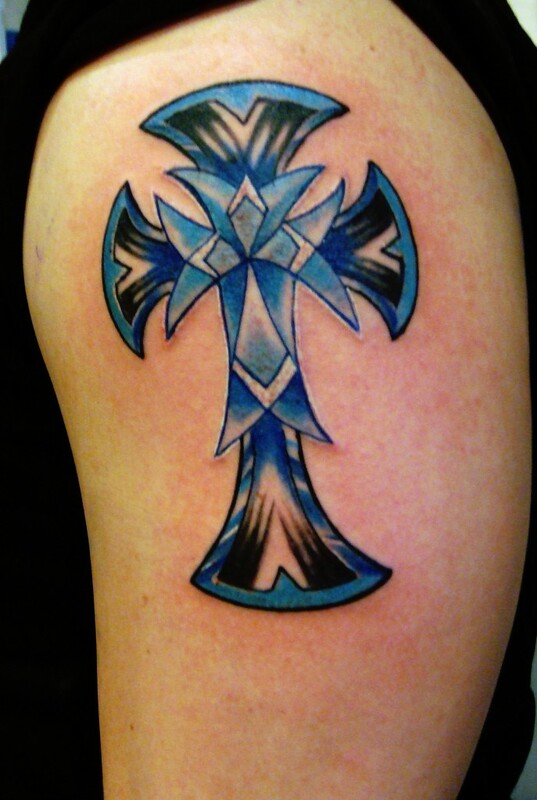 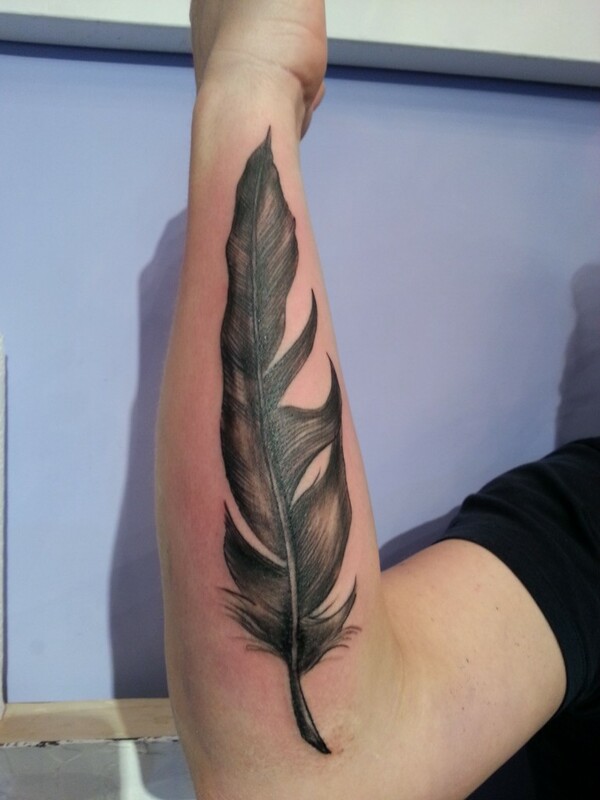 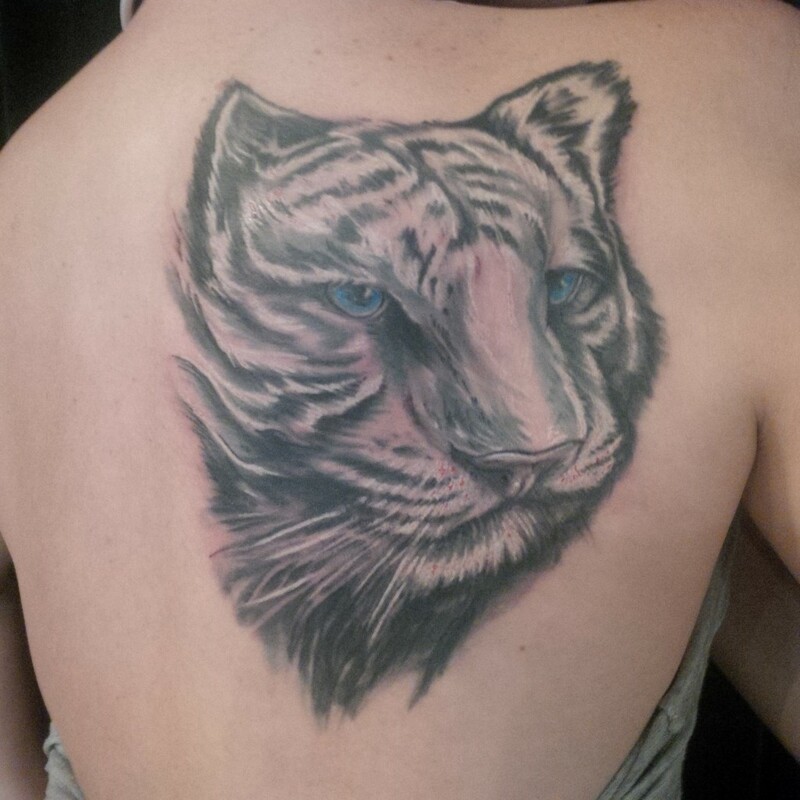 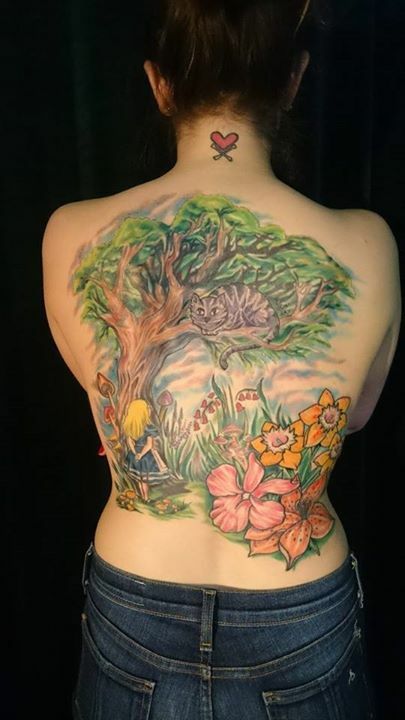 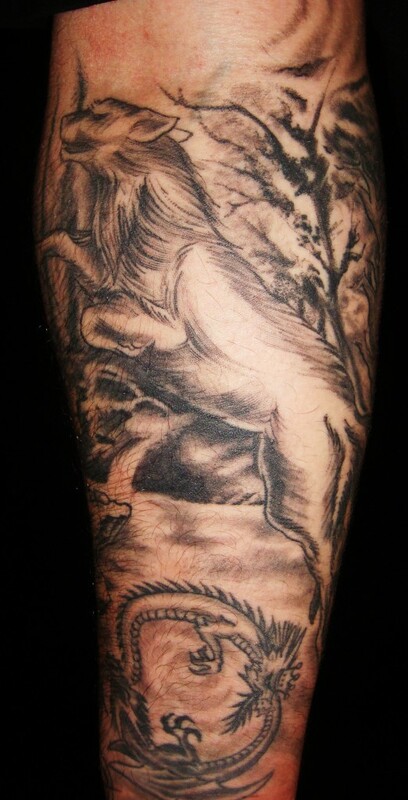 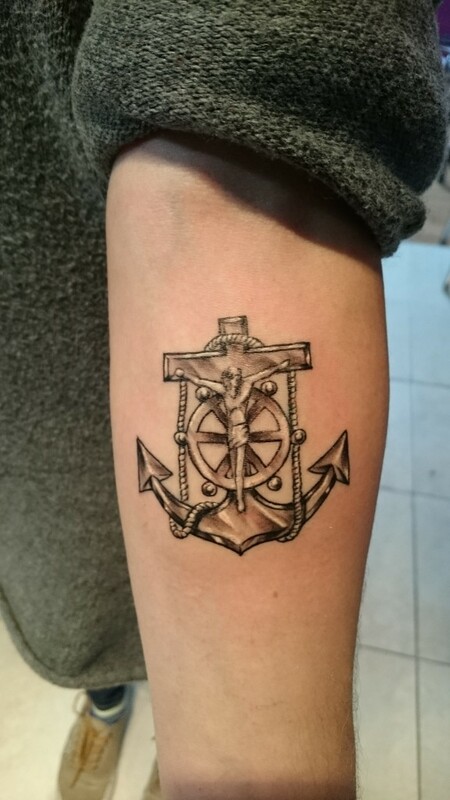 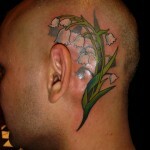 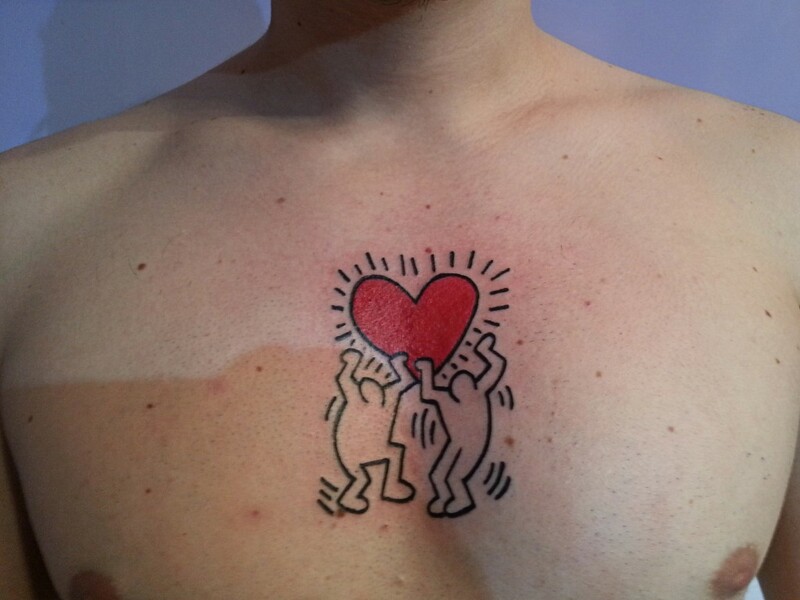 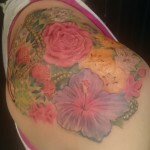 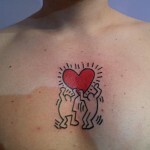 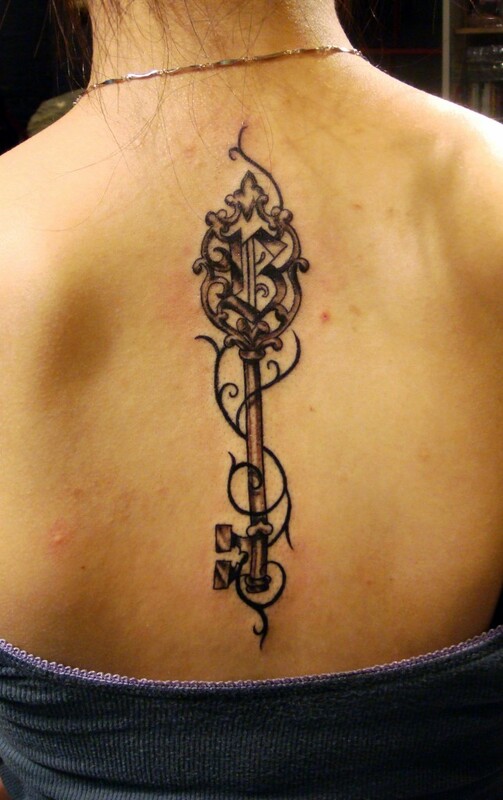 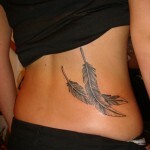 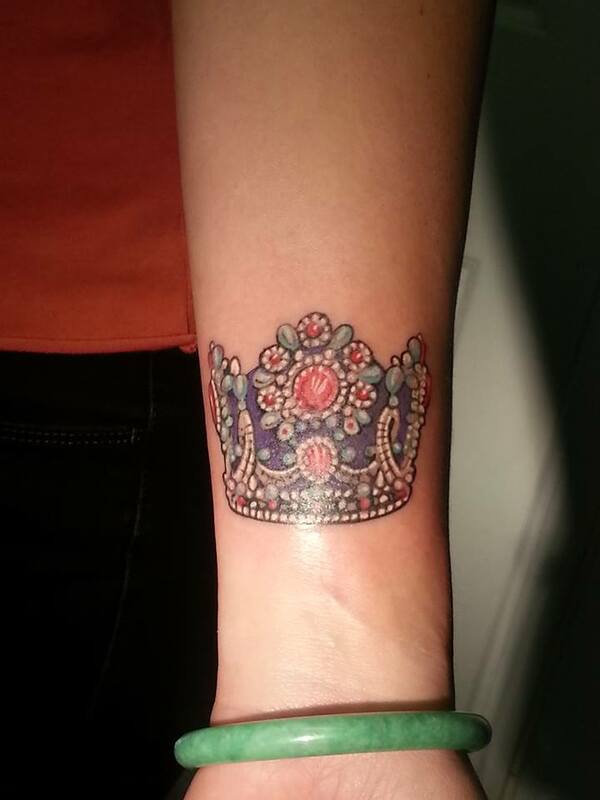 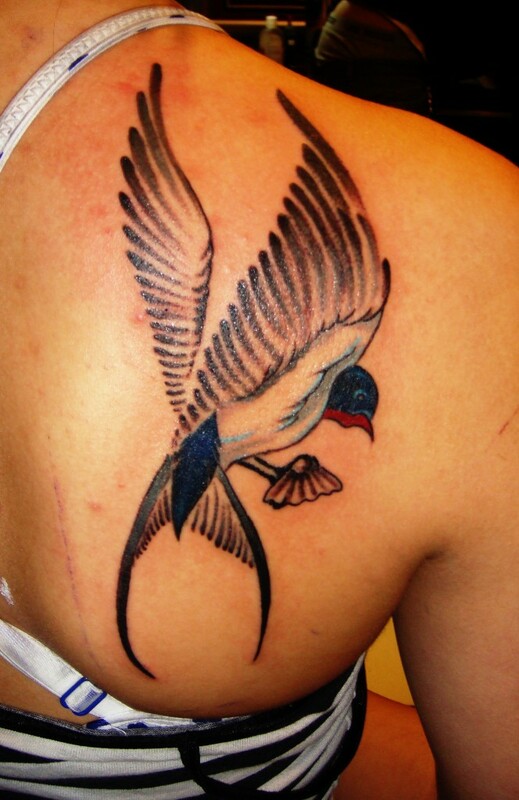 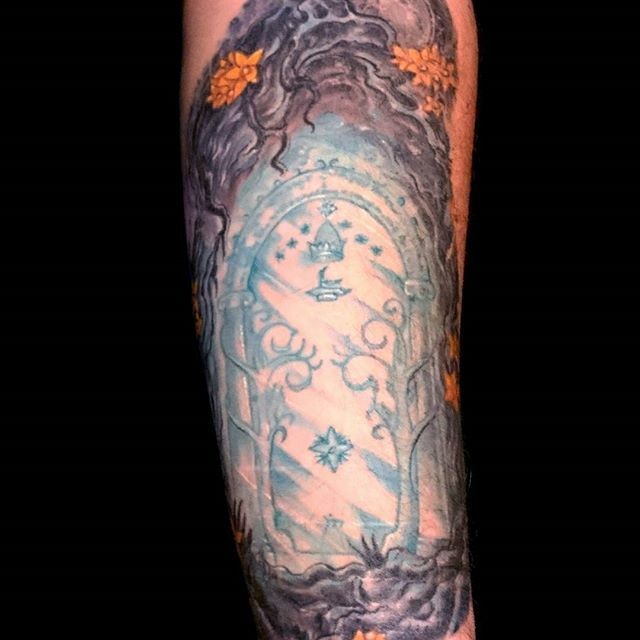 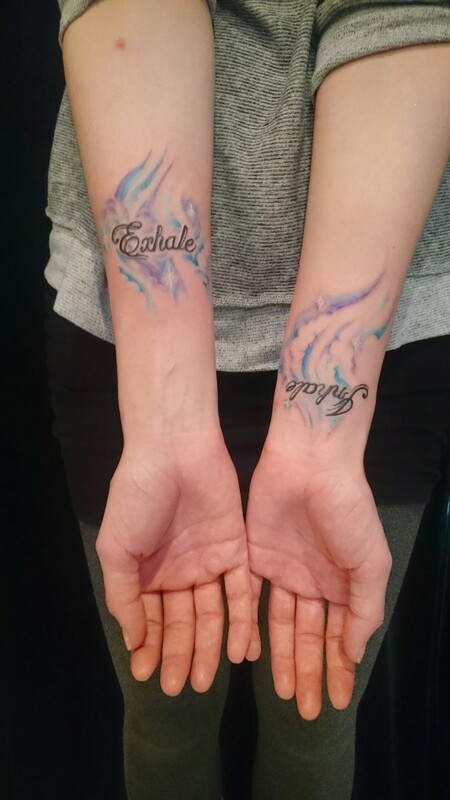 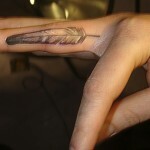 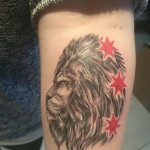 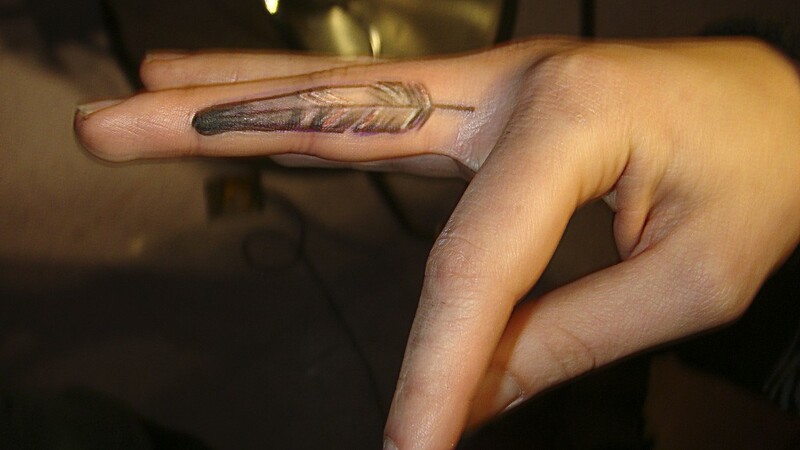 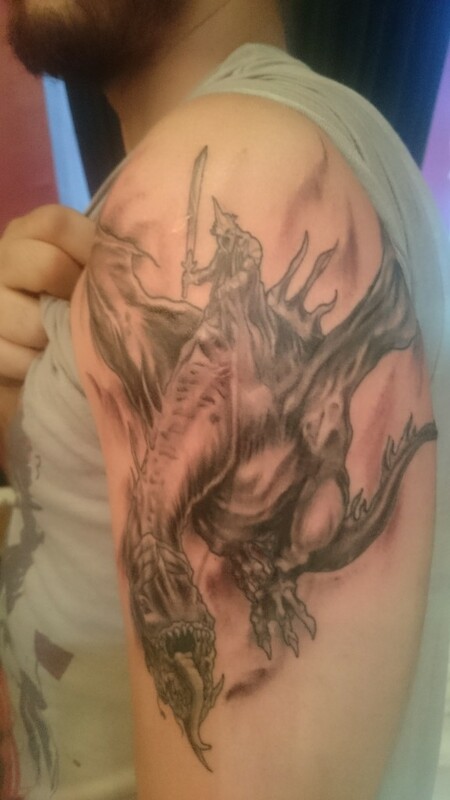 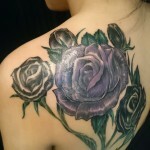 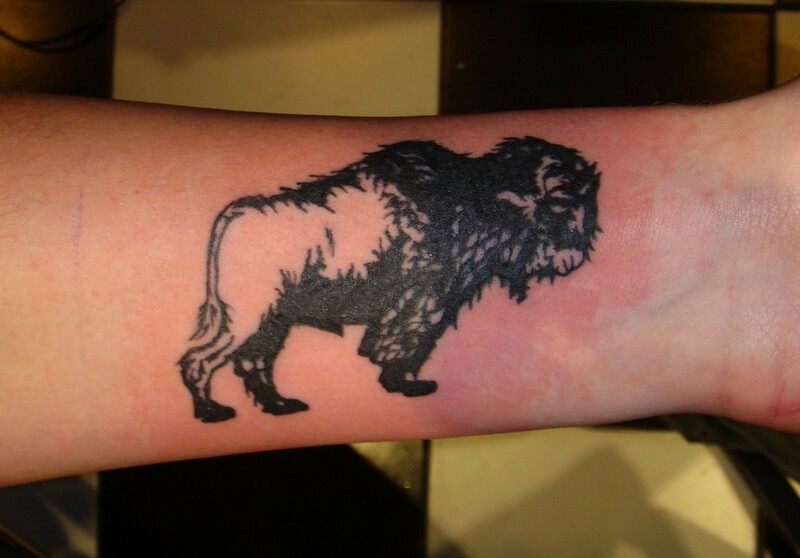 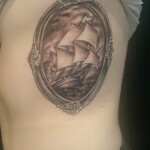 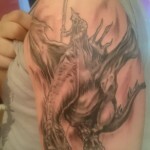 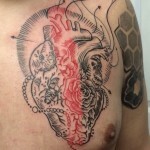 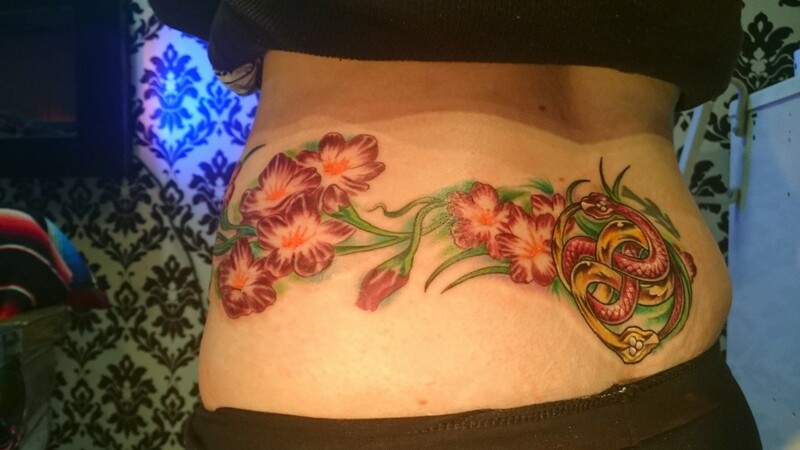 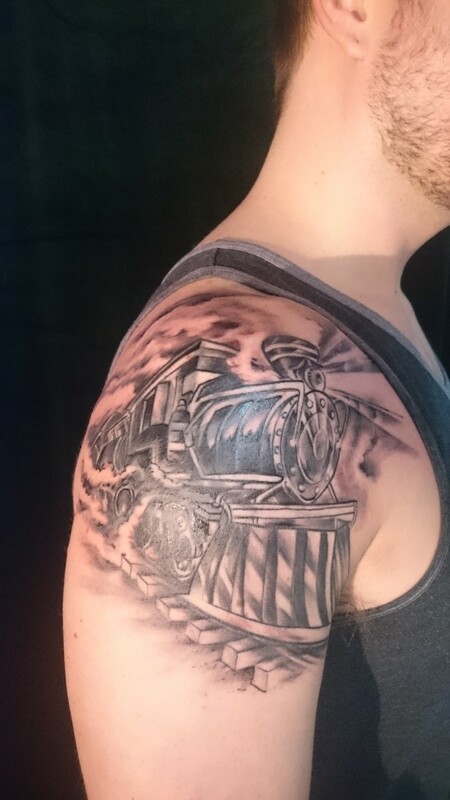 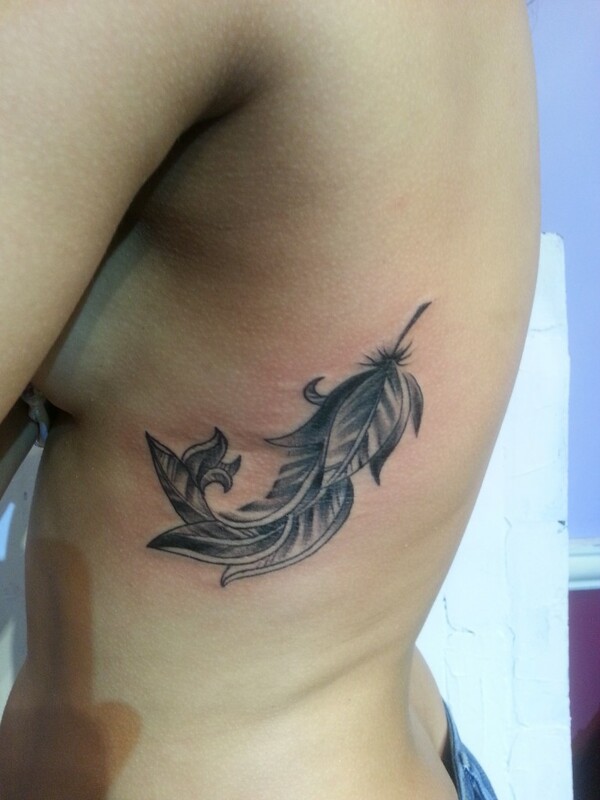 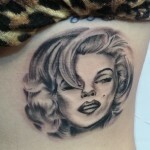 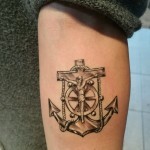 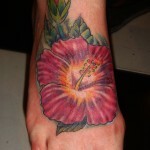 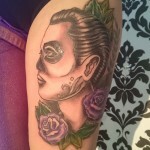 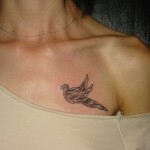 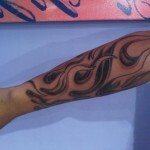 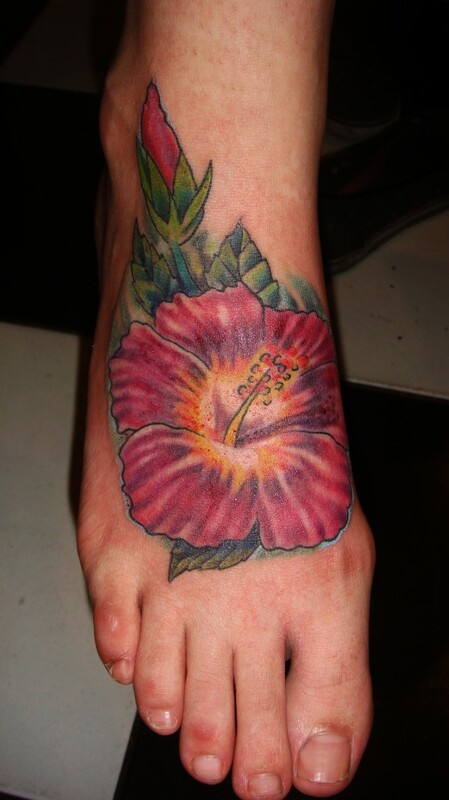 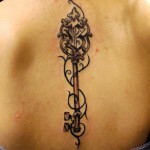 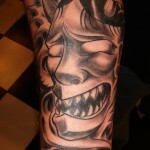 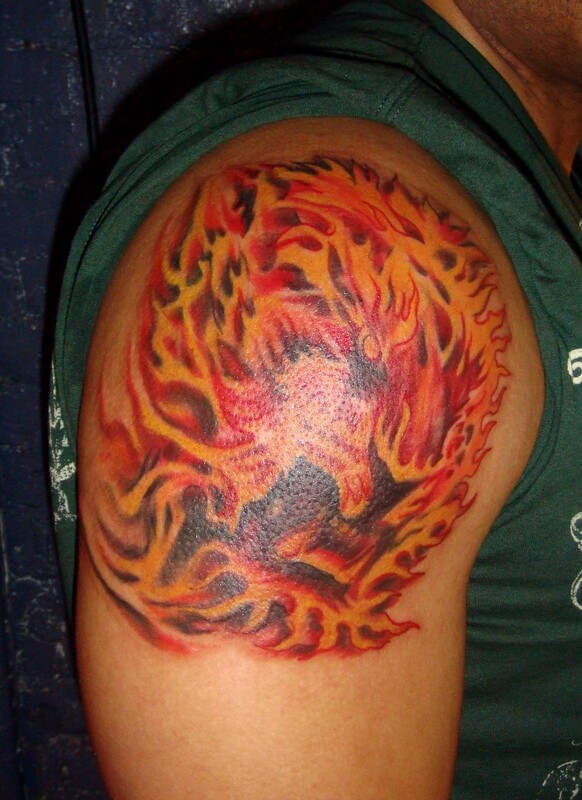 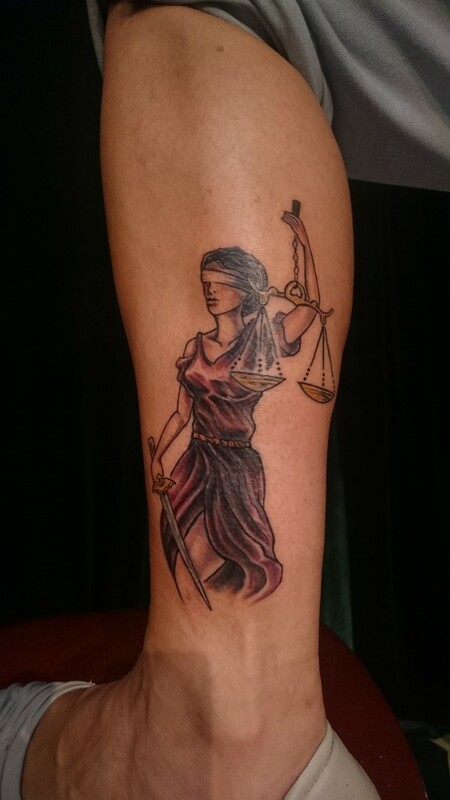 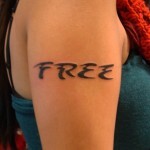 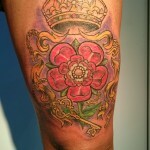 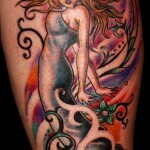 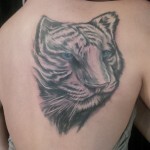 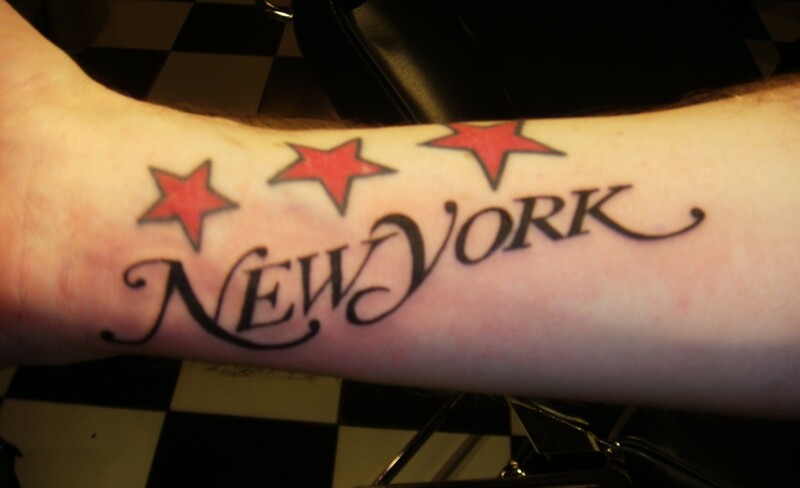 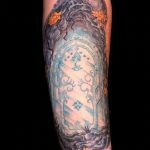 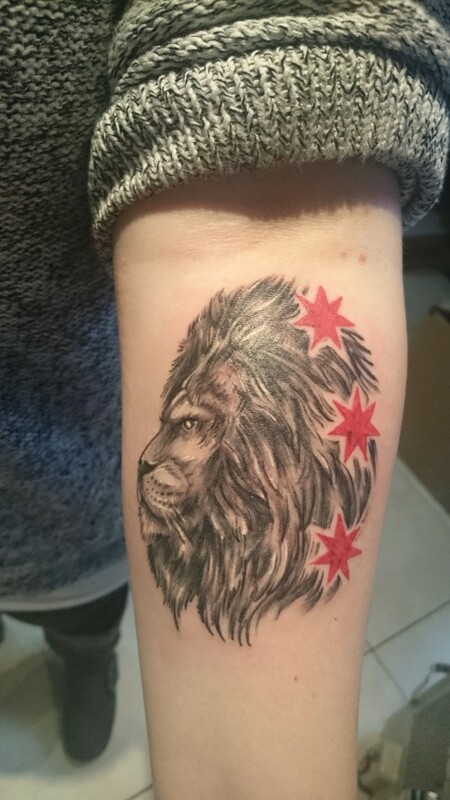 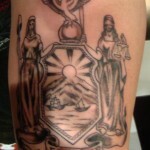 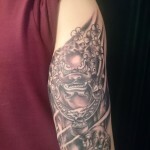 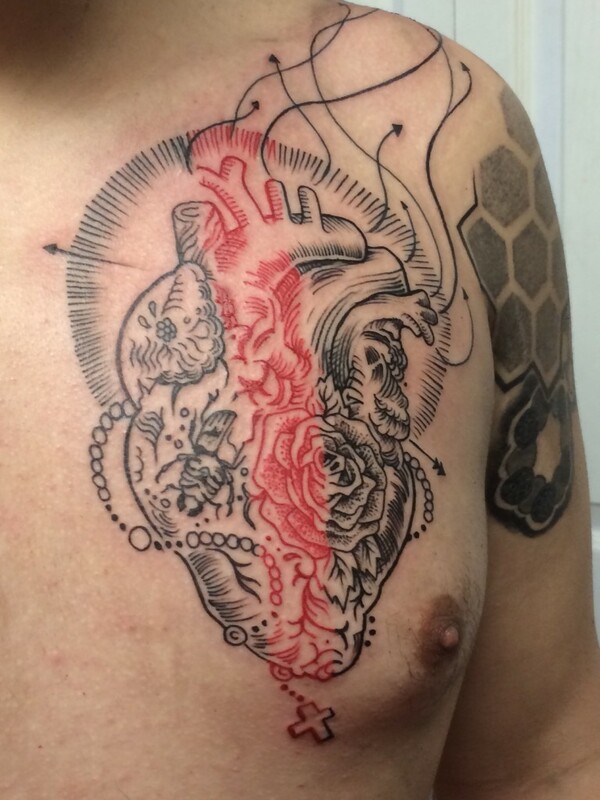 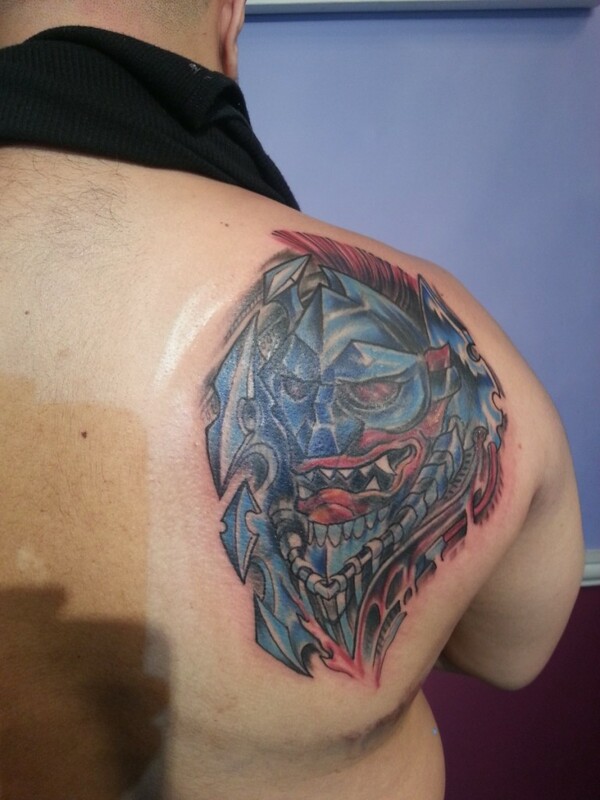 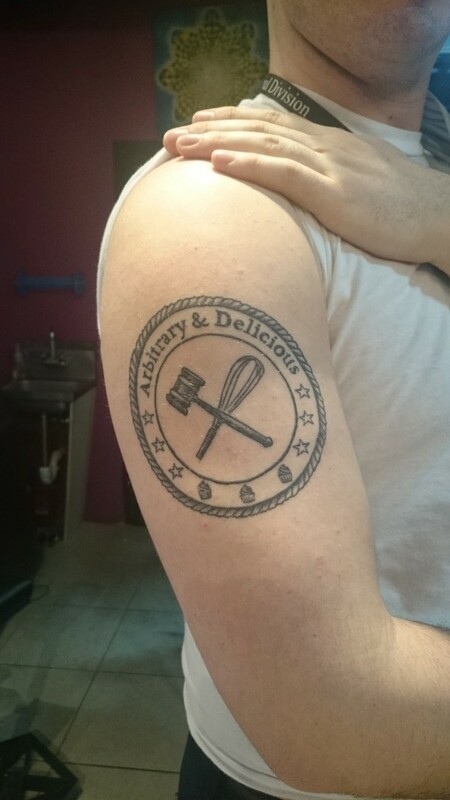 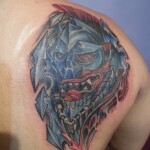 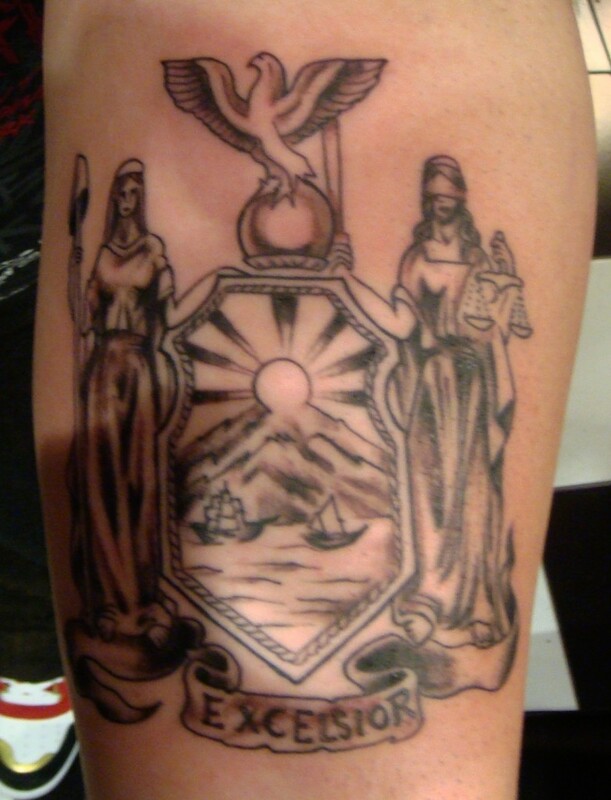 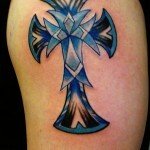 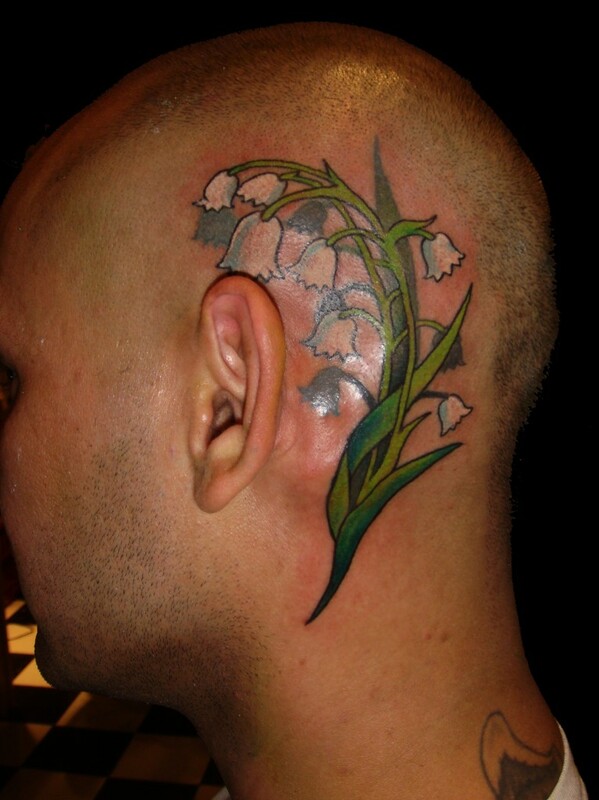 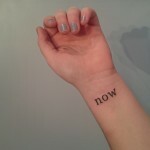 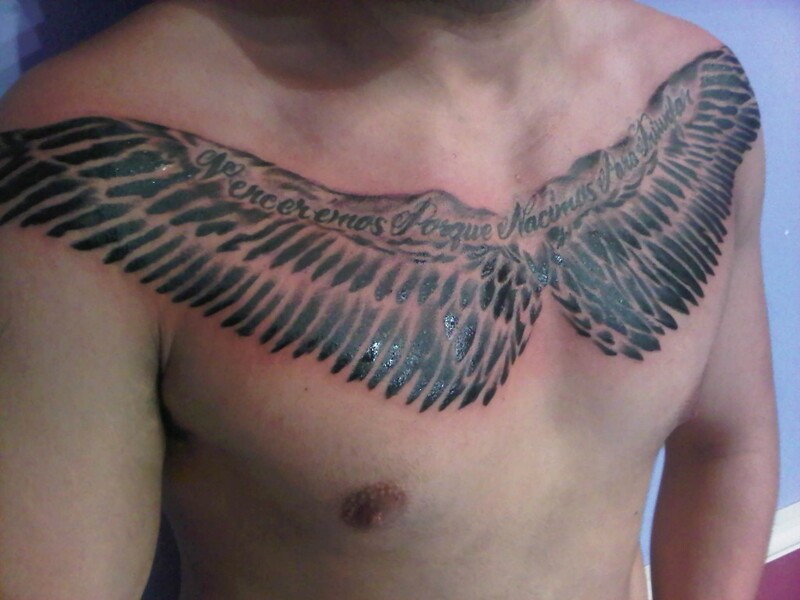 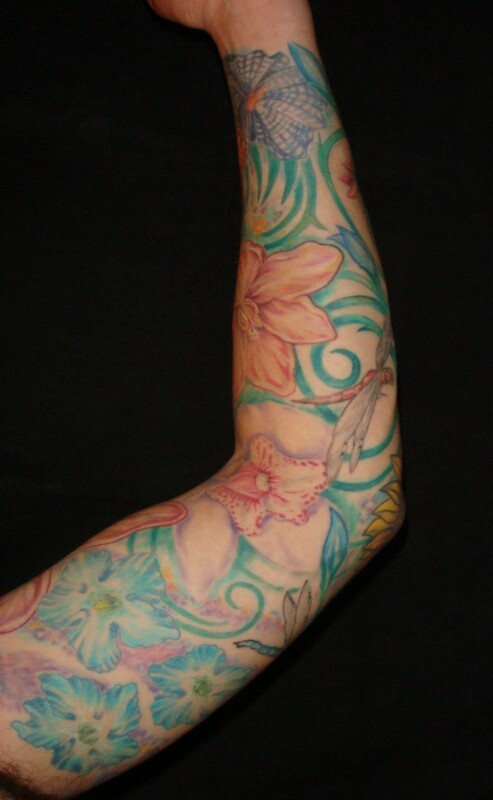 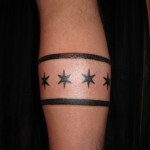 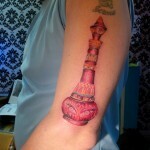 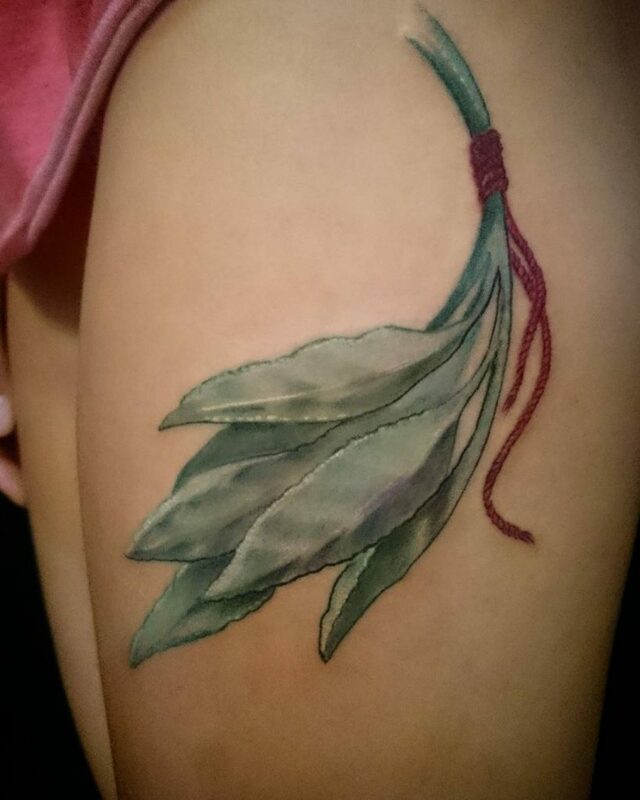 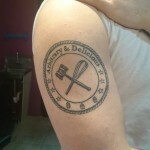 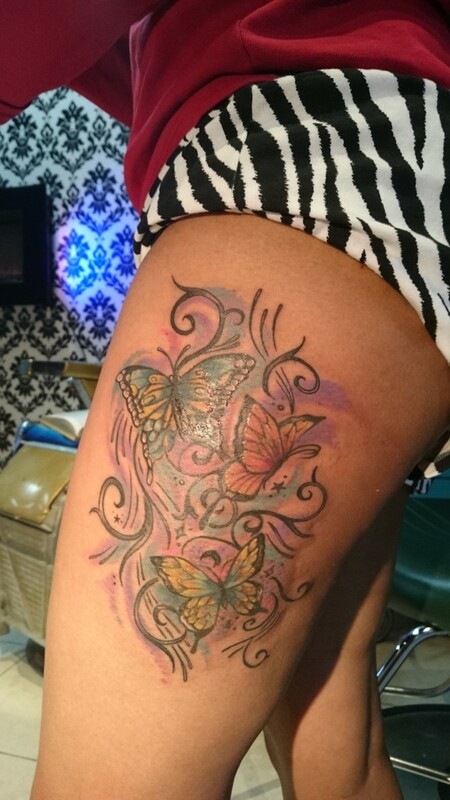 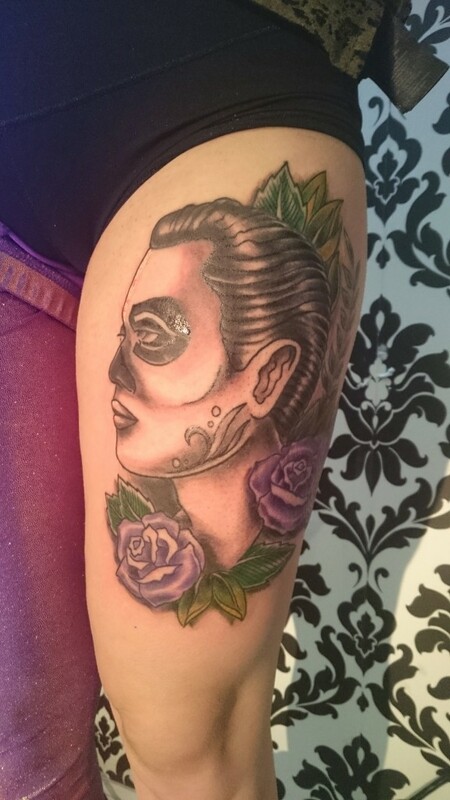 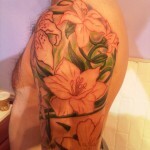 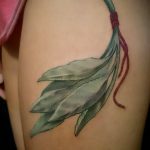 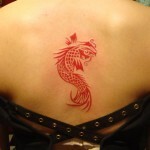 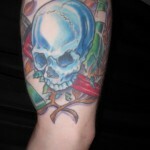 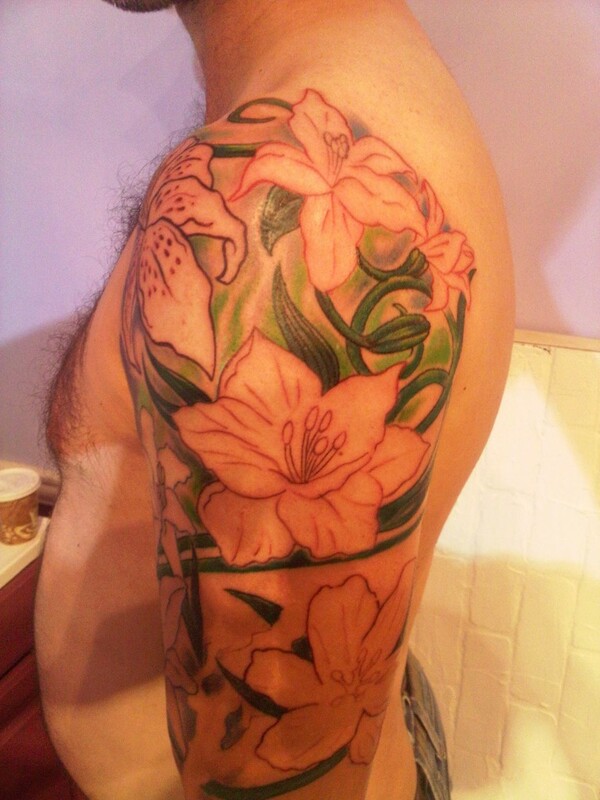 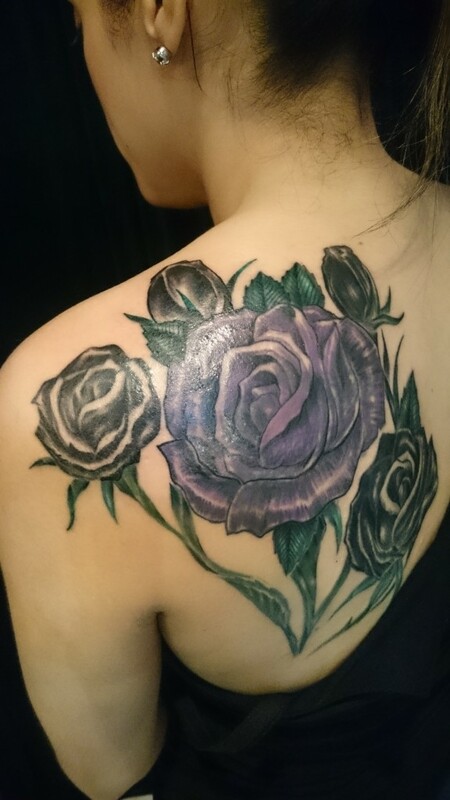 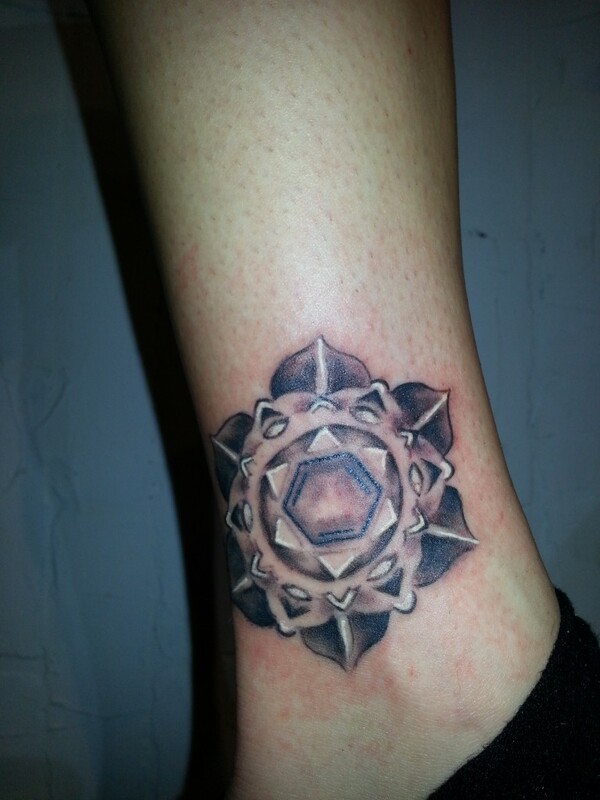 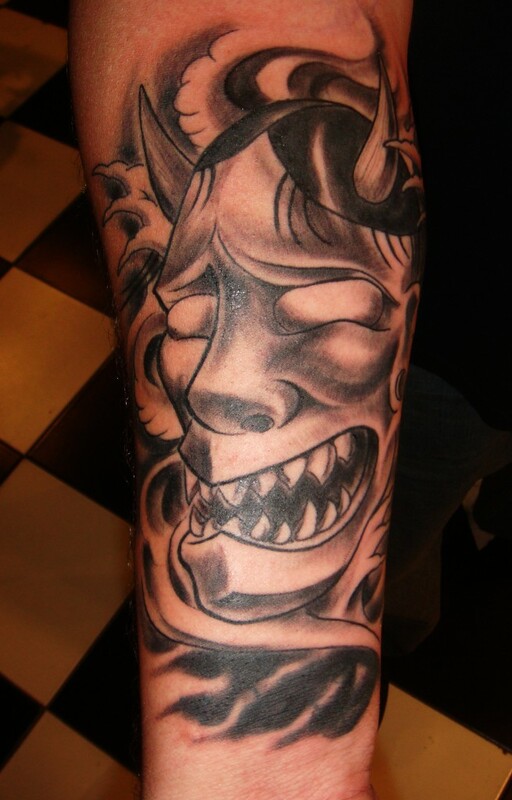 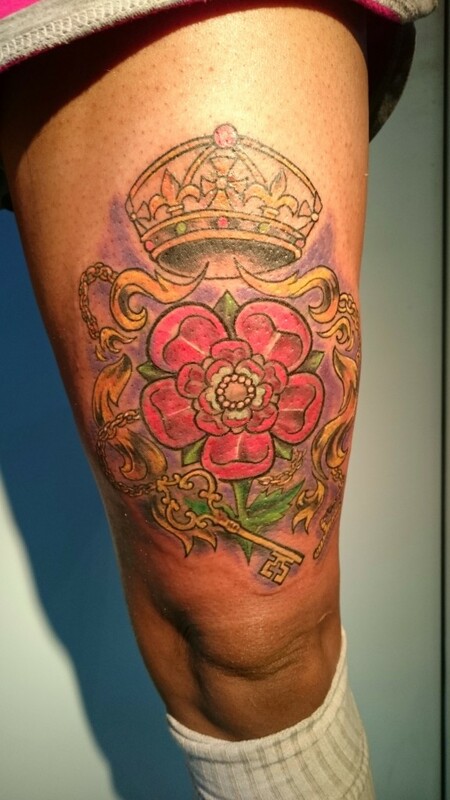 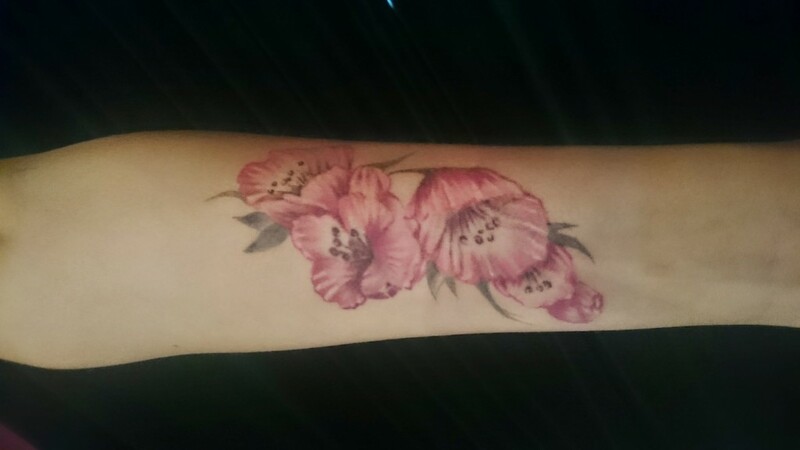 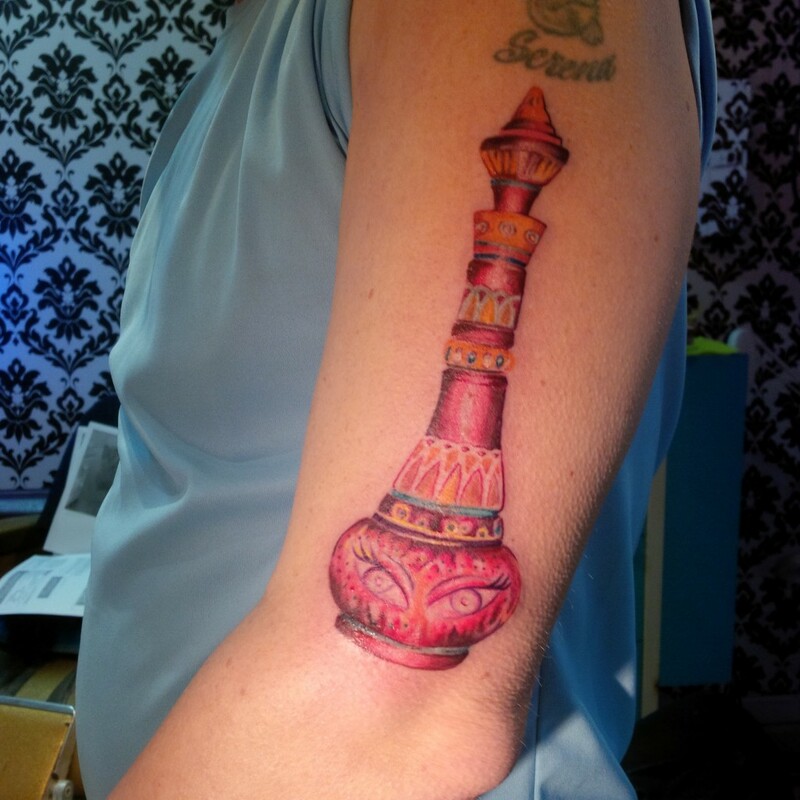 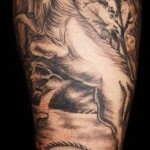 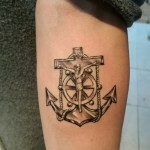 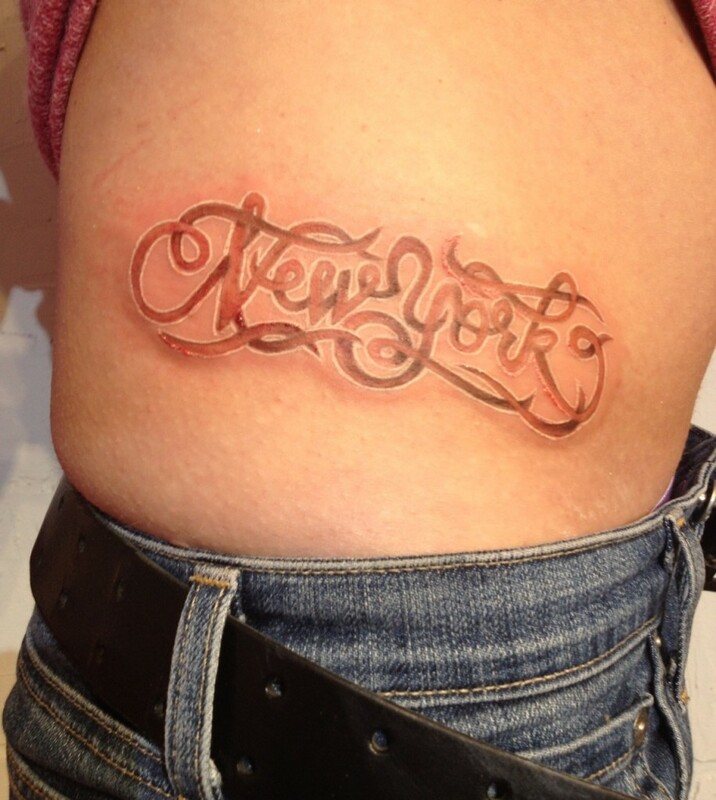 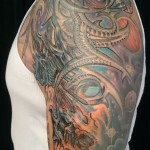 In his 25+ years as a visual and tattoo artist, Adal has done tattoos in nearly every popular tattoo style. 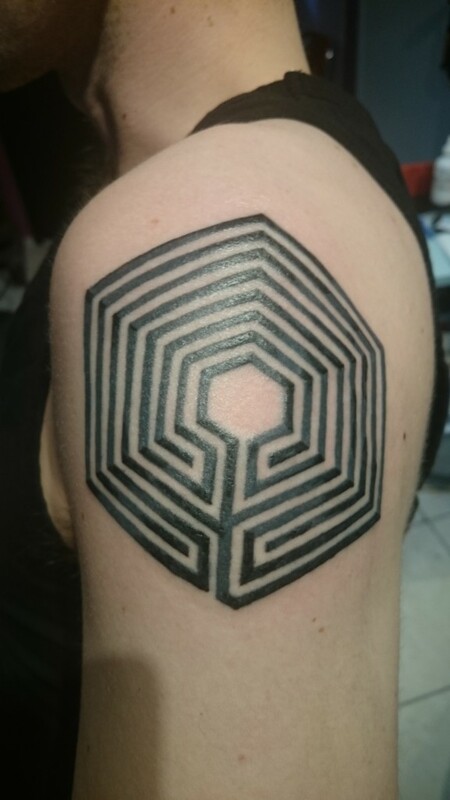 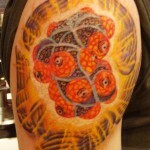 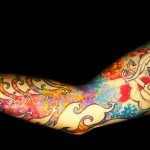 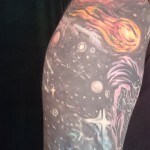 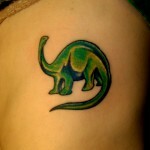 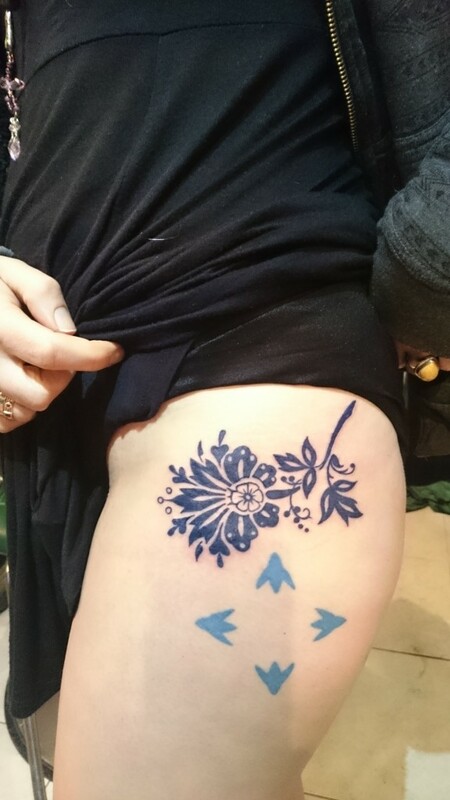 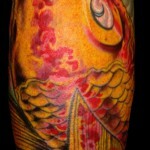 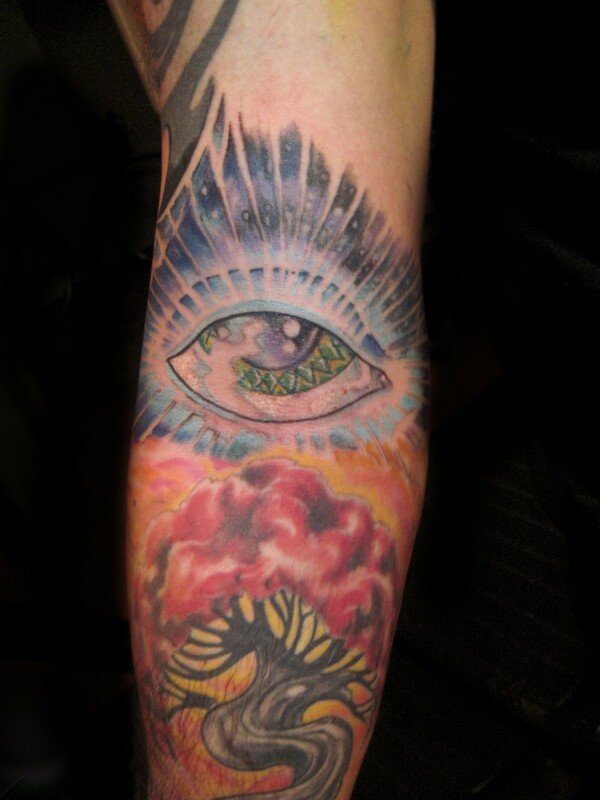 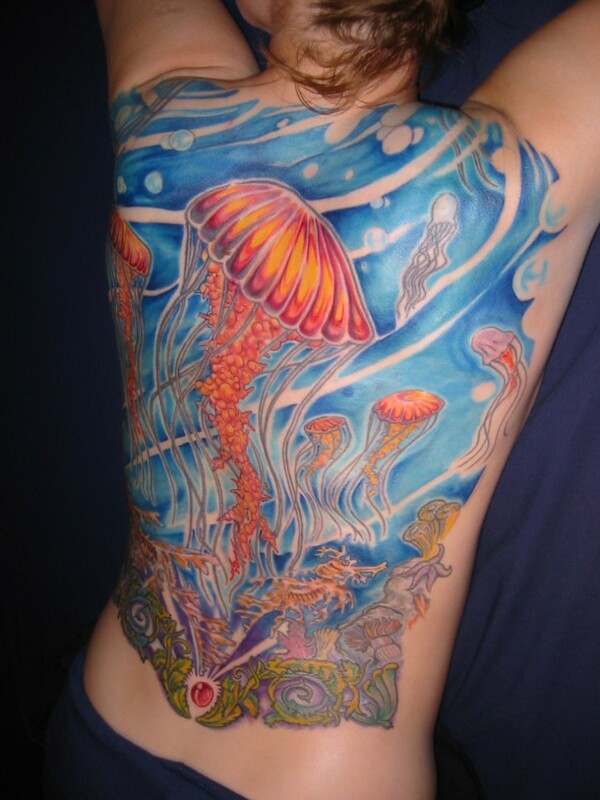 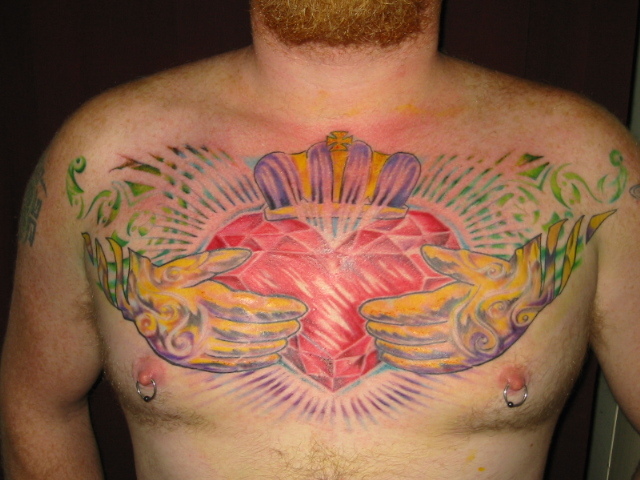 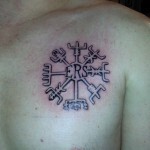 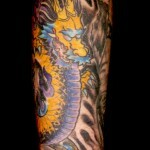 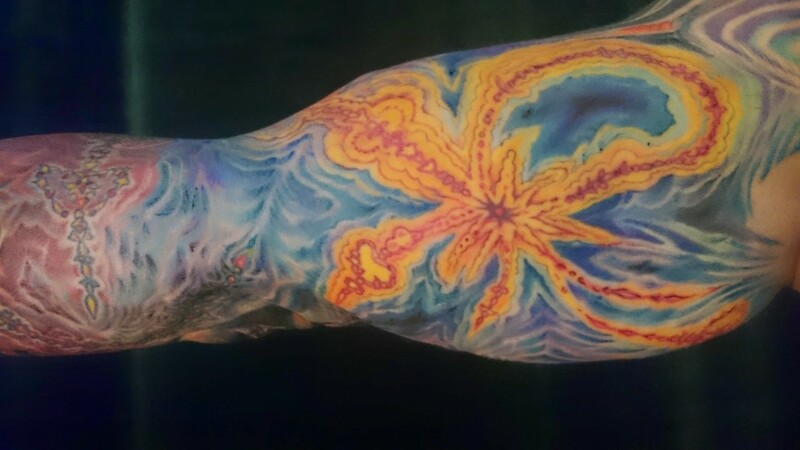 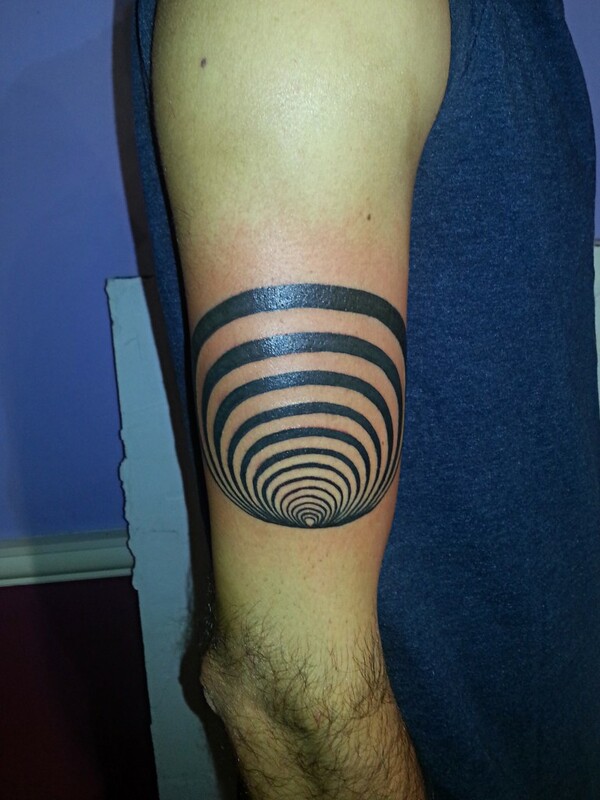 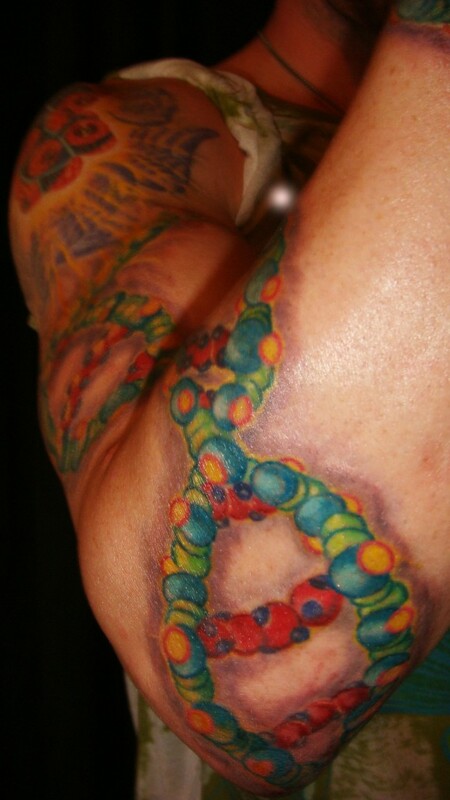 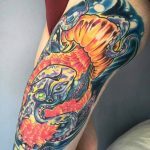 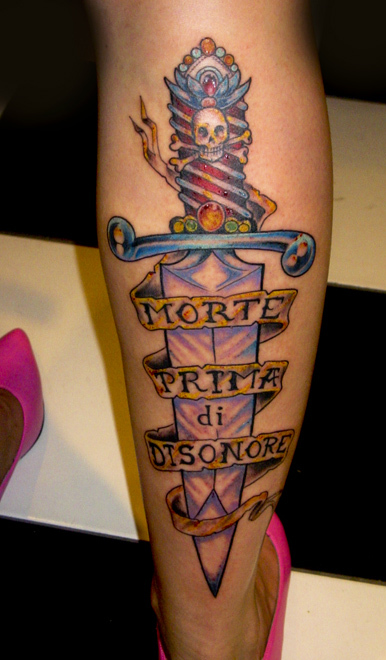 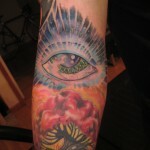 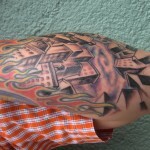 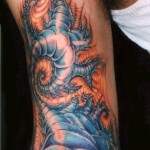 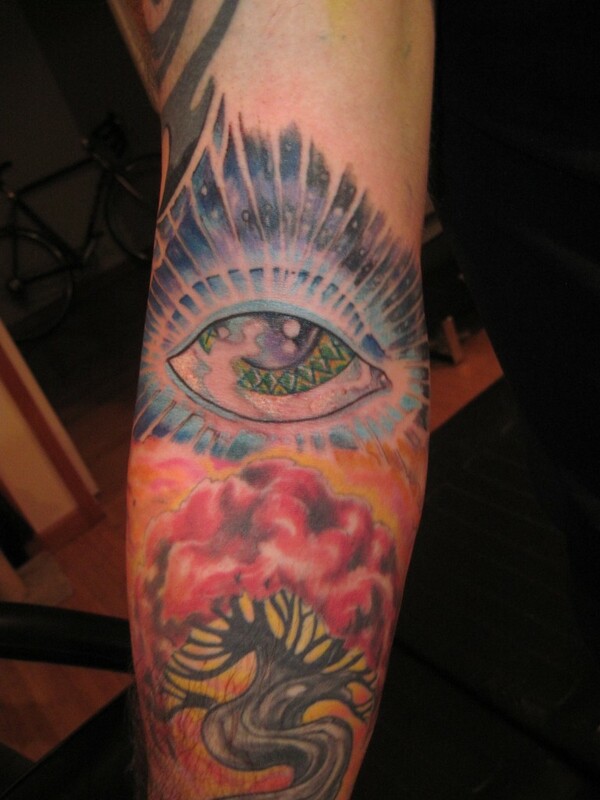 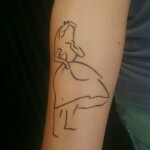 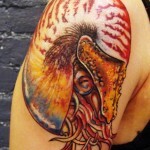 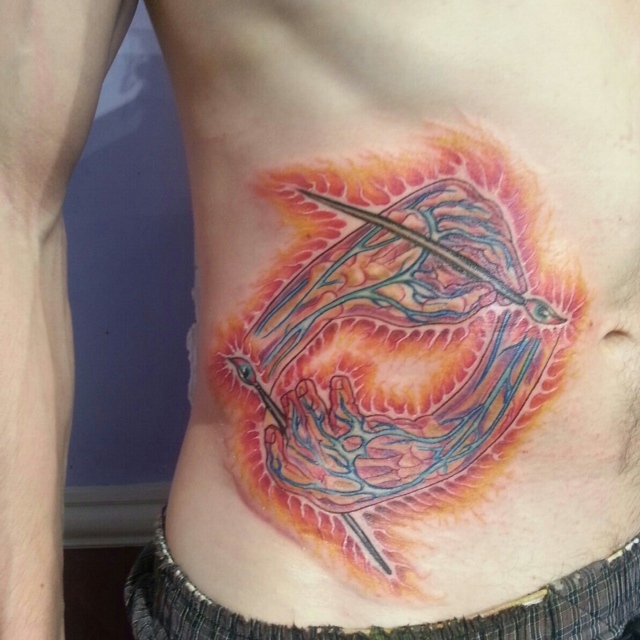 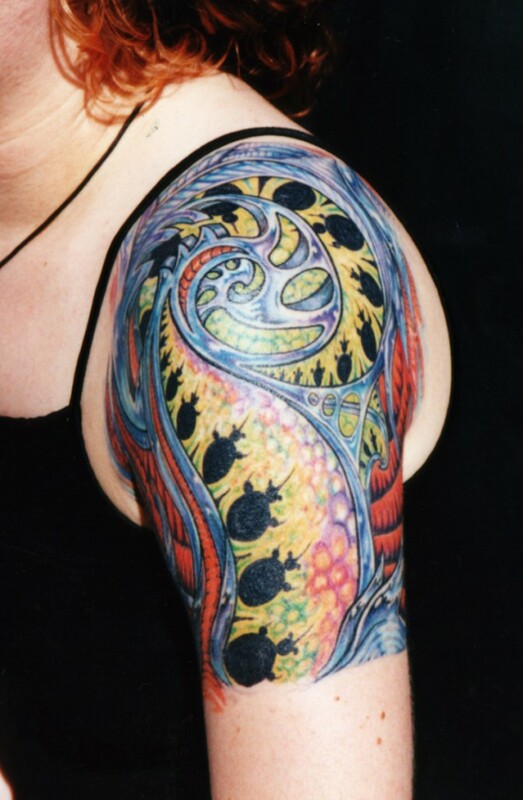 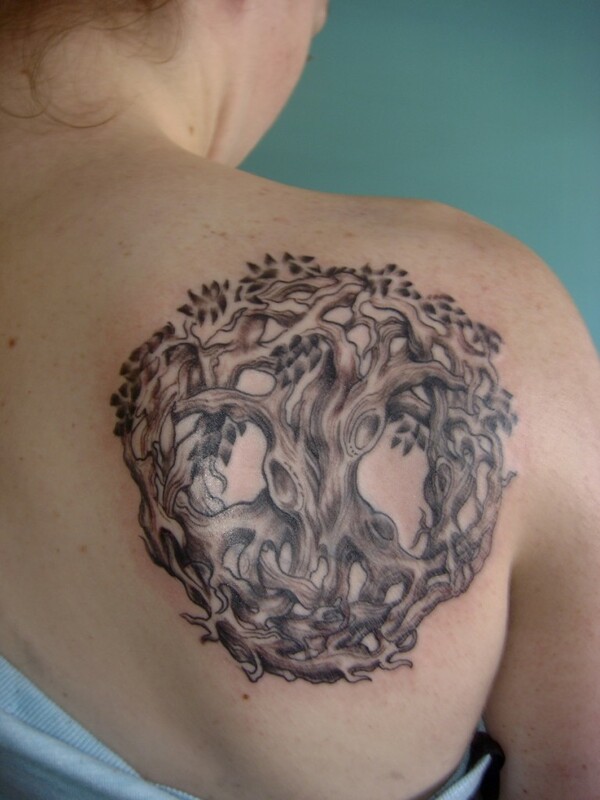 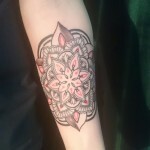 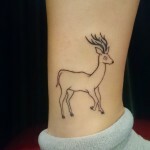 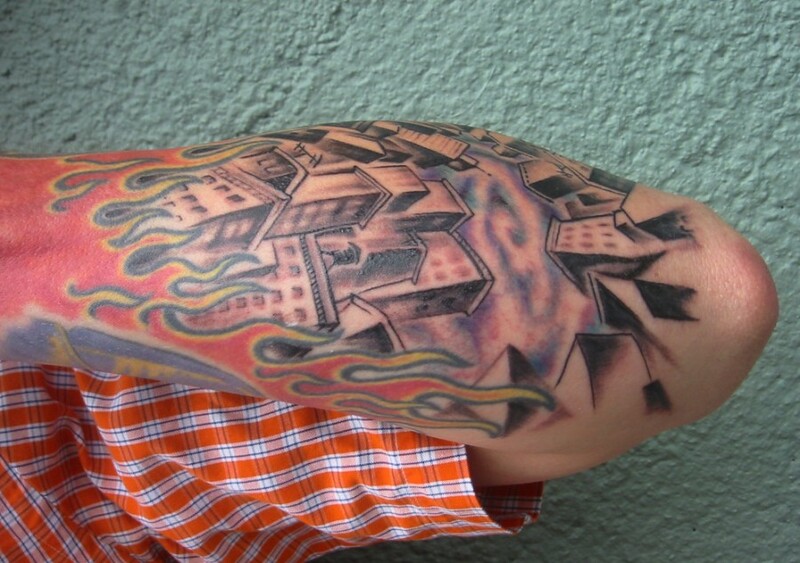 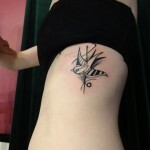 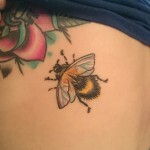 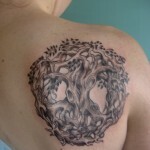 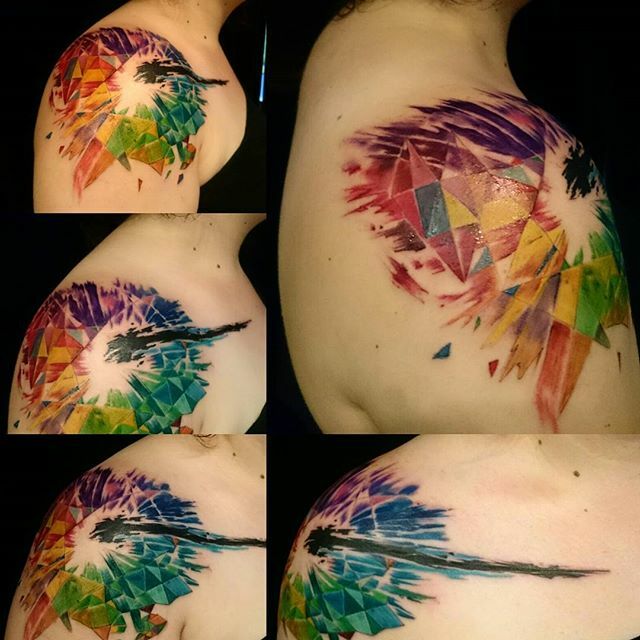 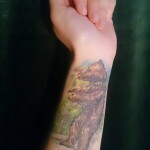 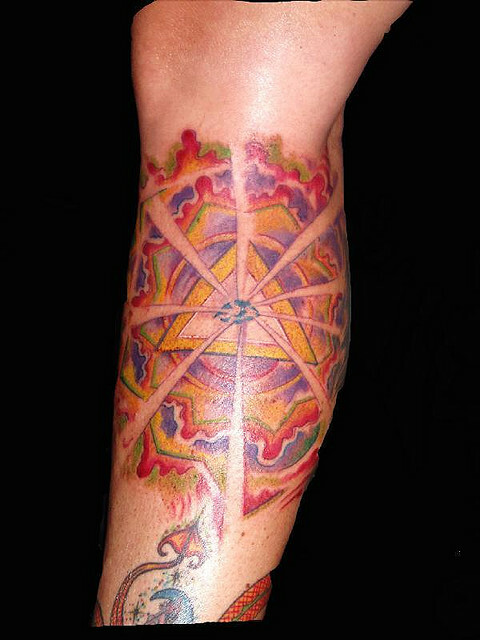 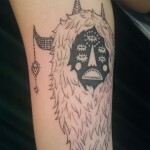 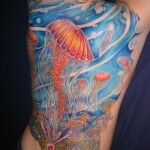 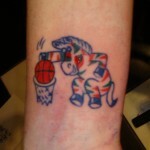 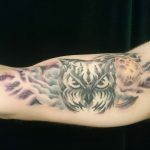 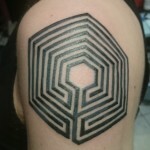 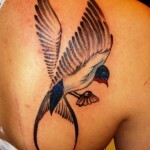 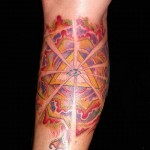 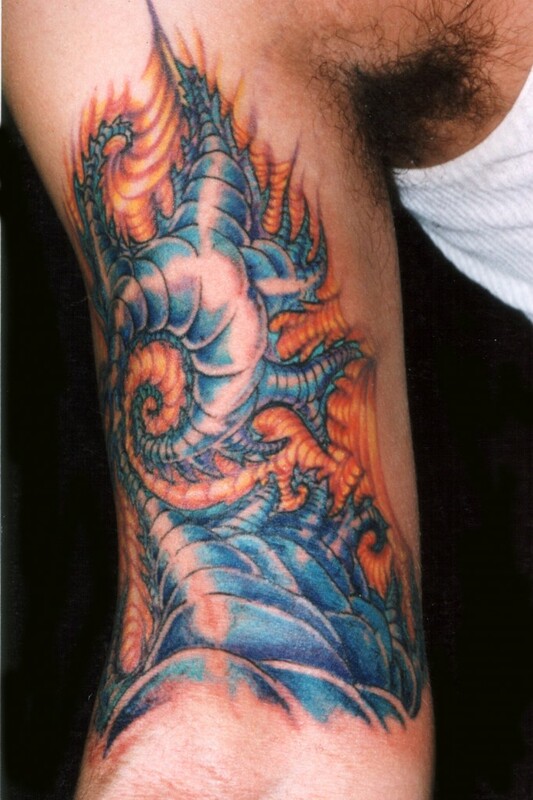 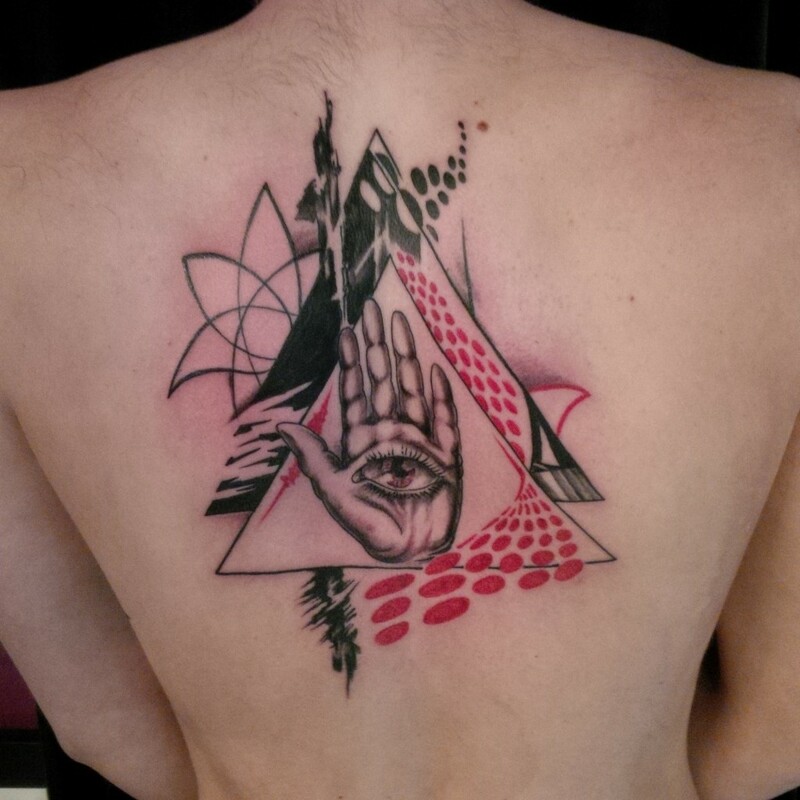 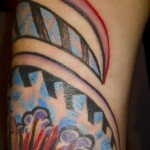 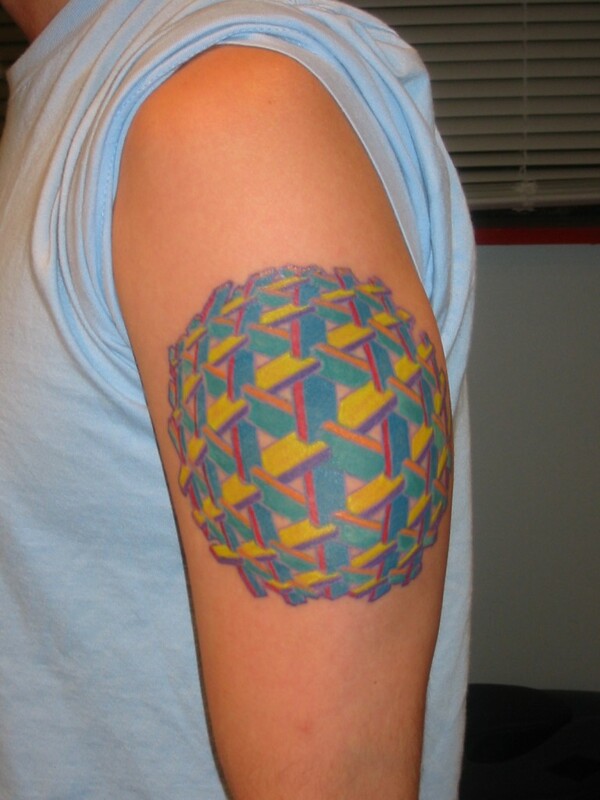 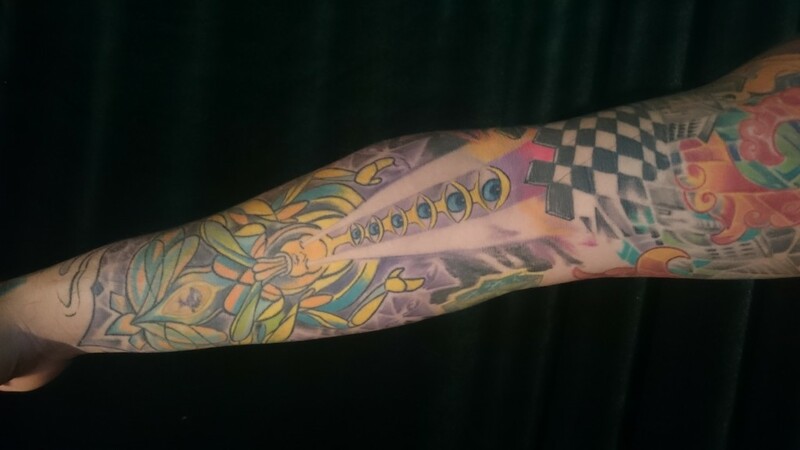 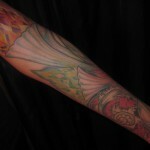 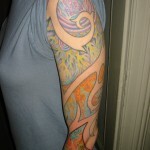 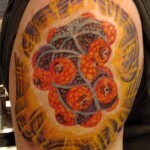 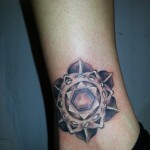 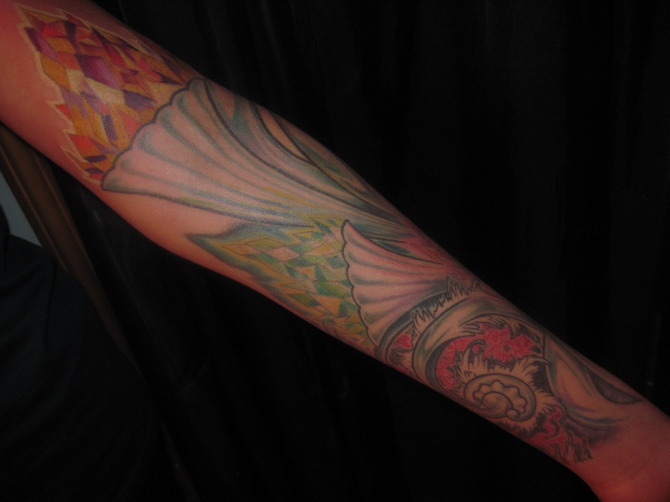 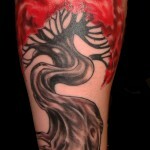 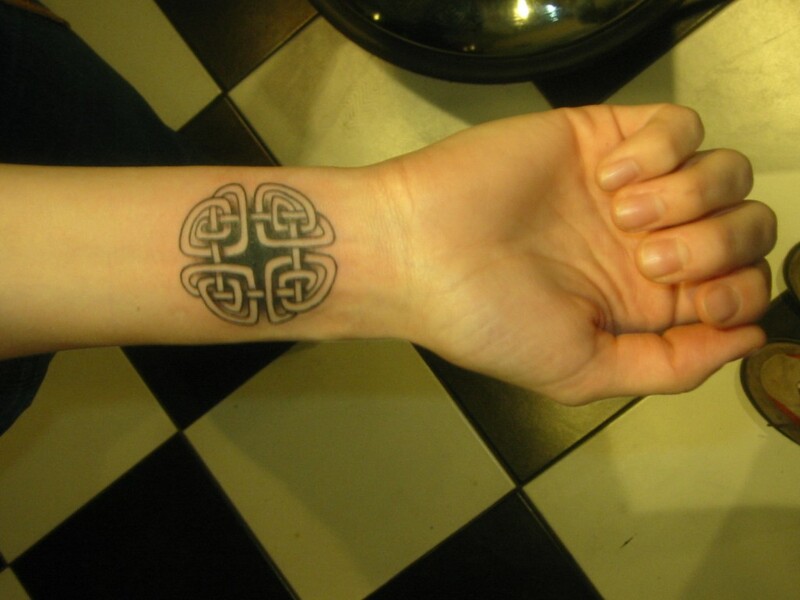 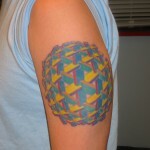 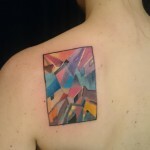 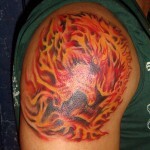 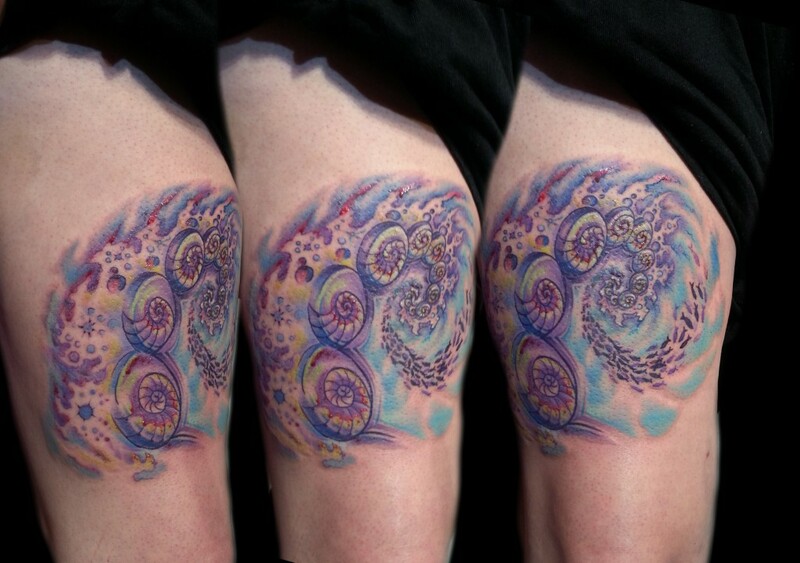 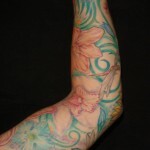 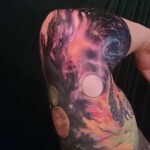 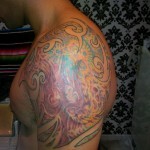 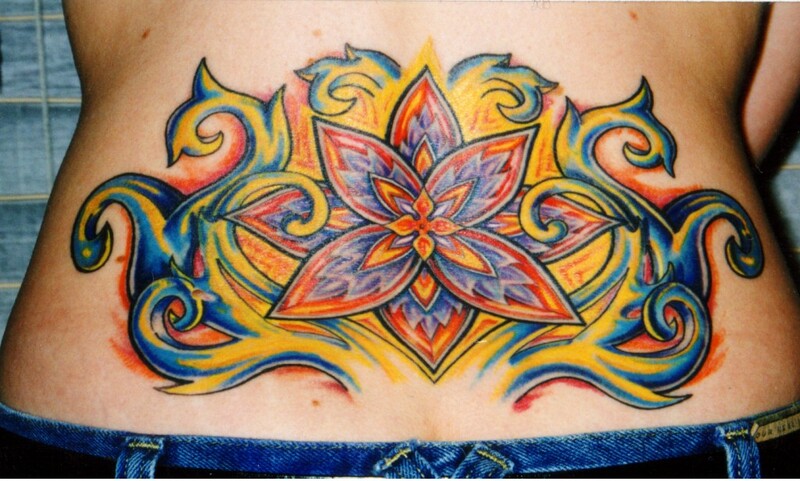 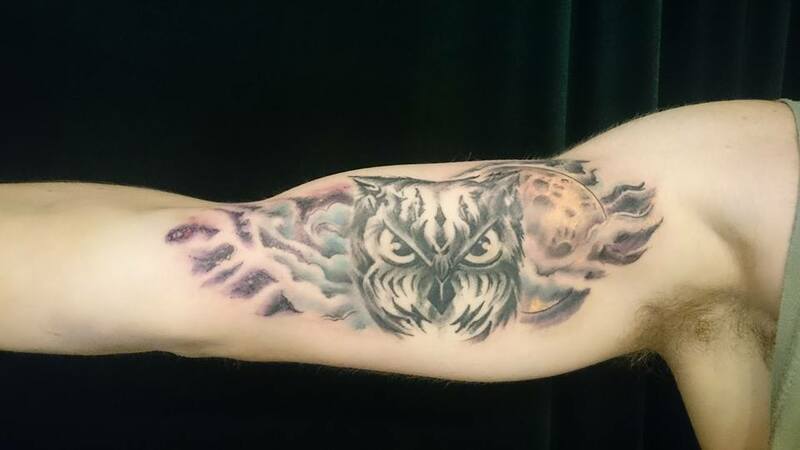 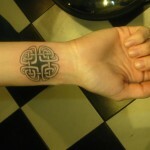 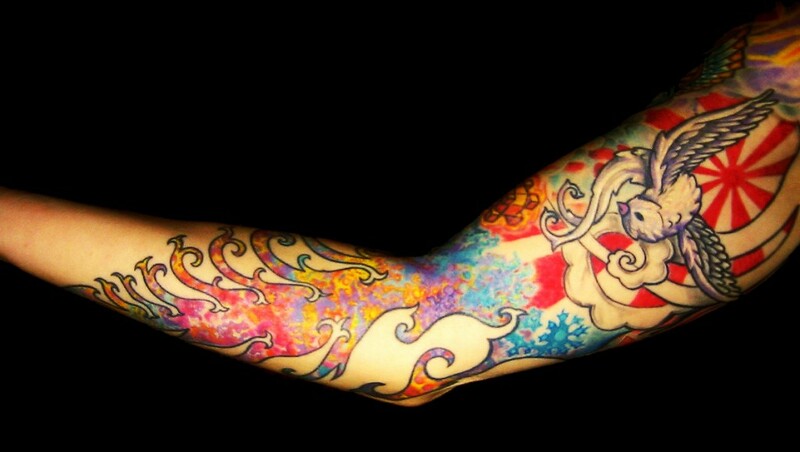 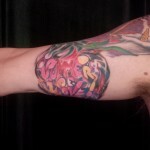 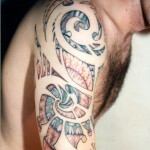 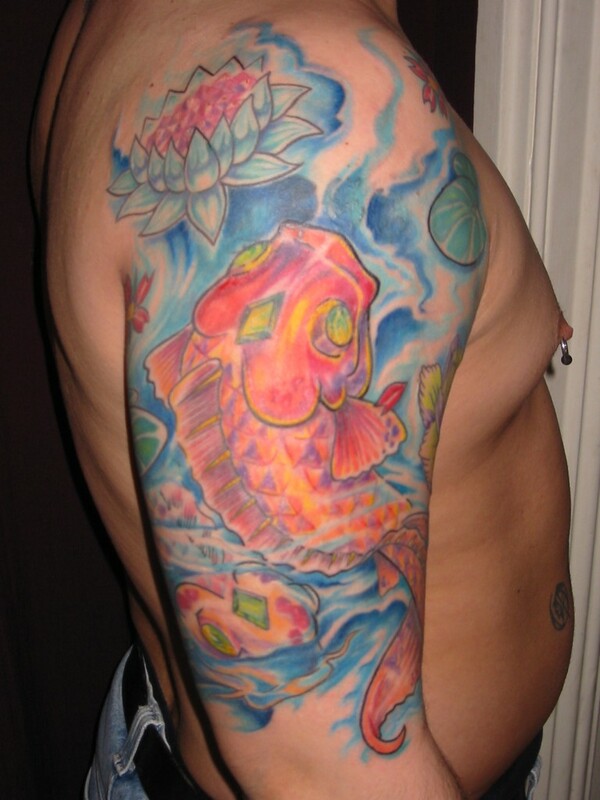 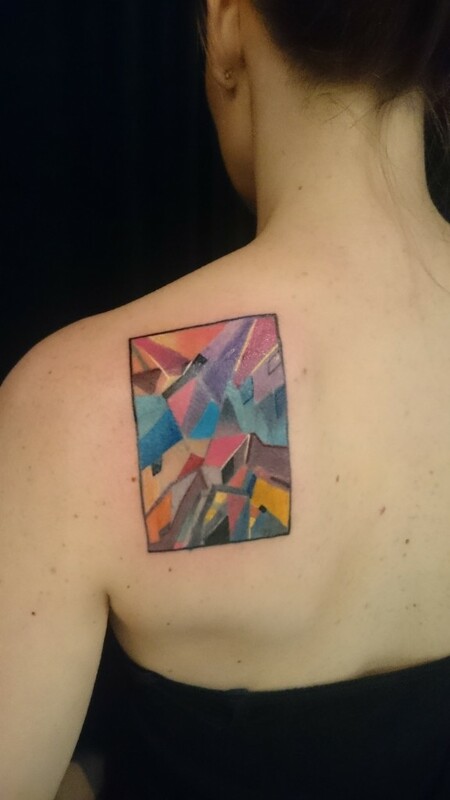 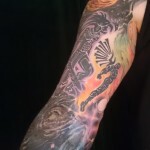 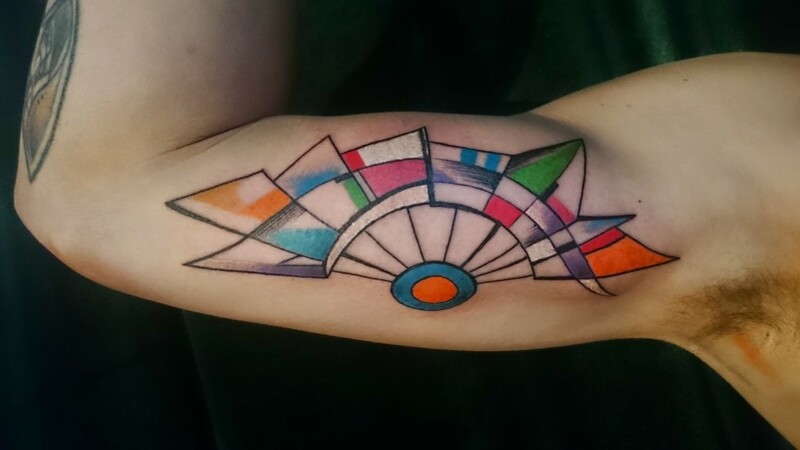 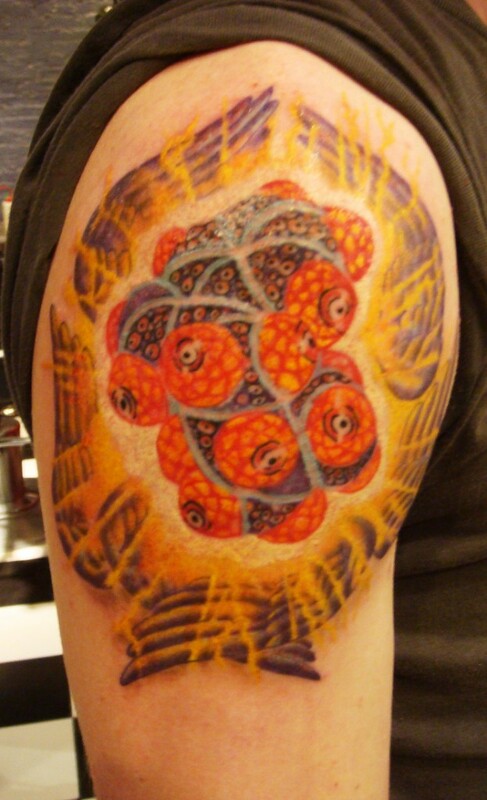 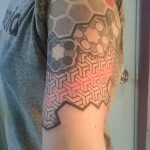 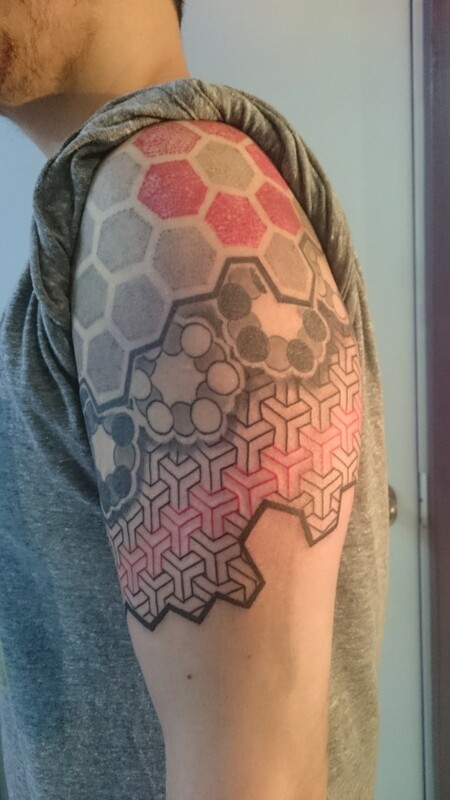 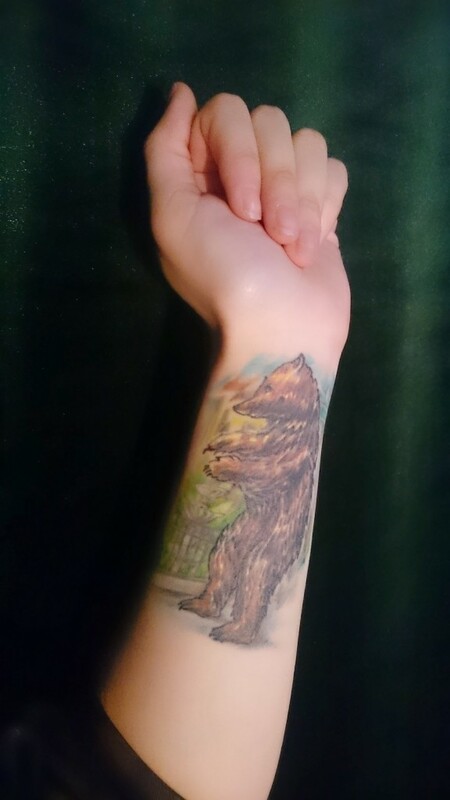 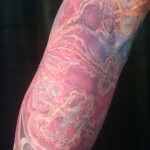 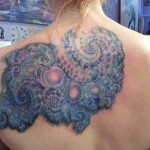 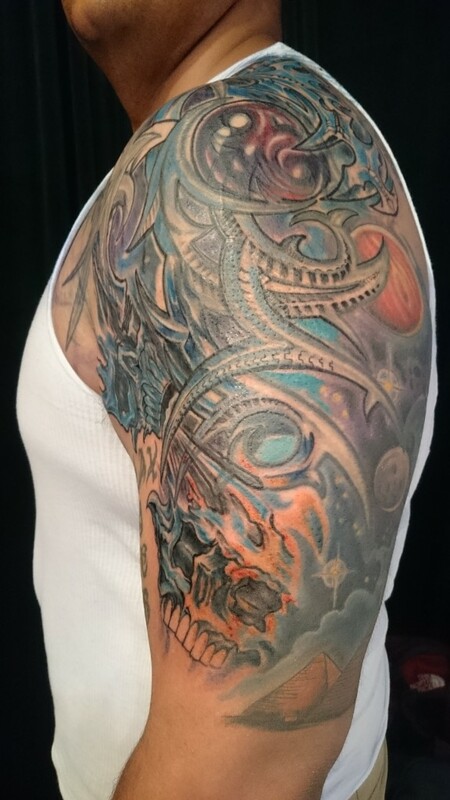 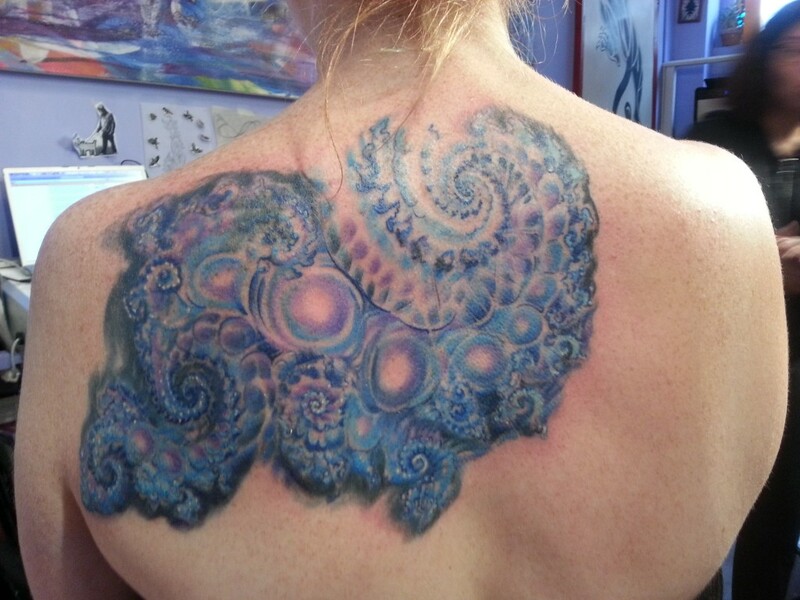 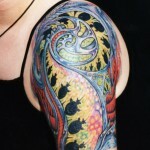 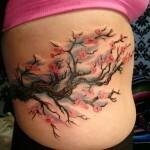 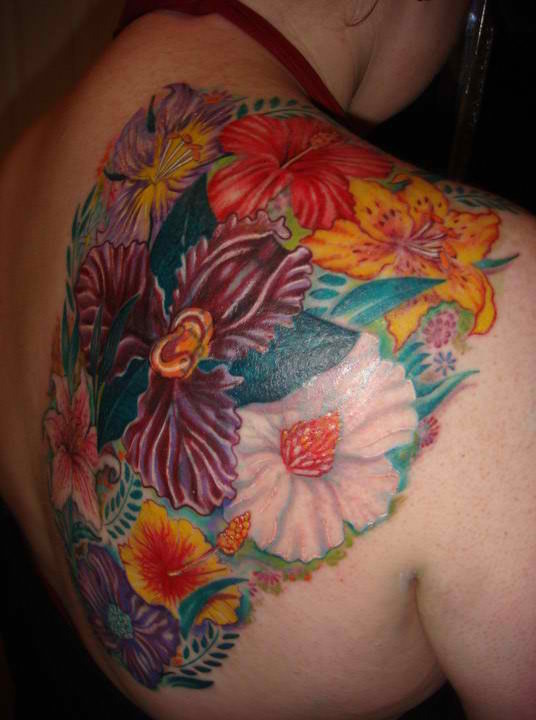 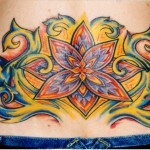 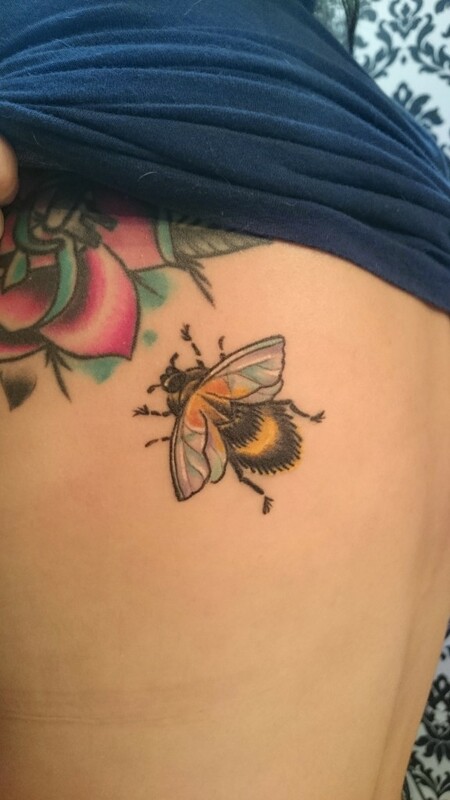 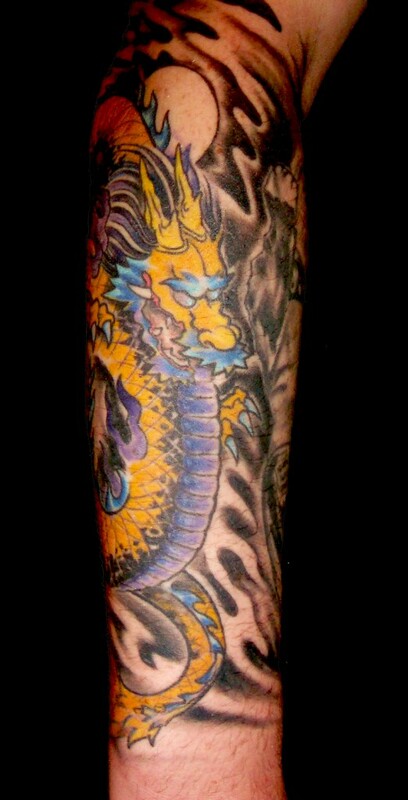 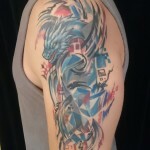 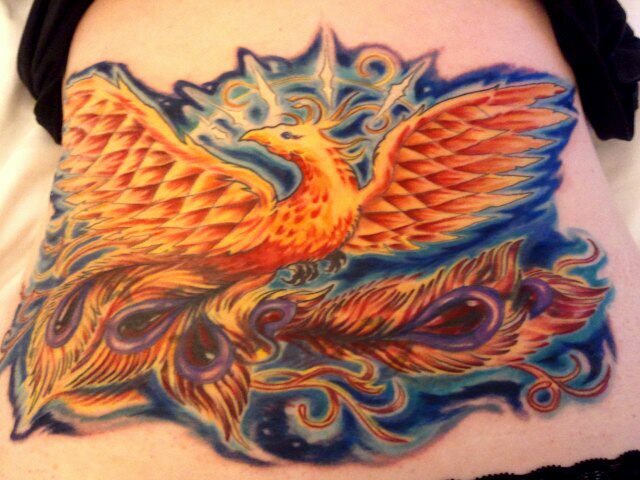 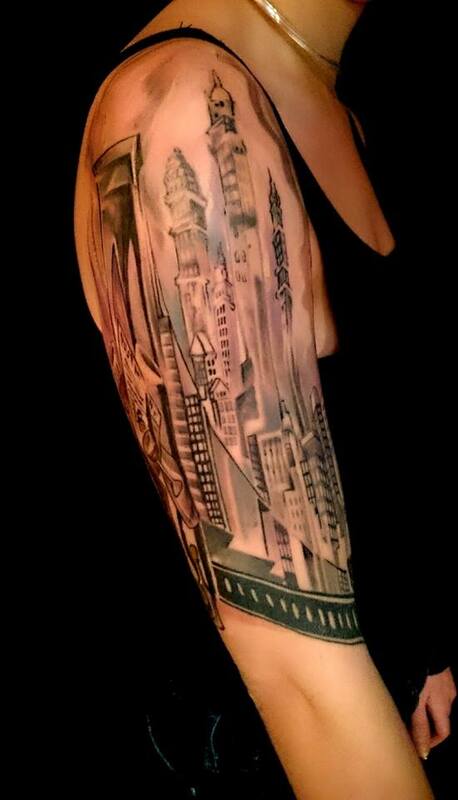 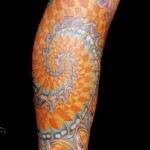 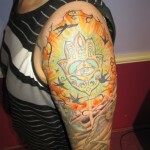 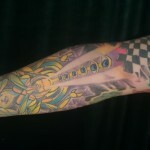 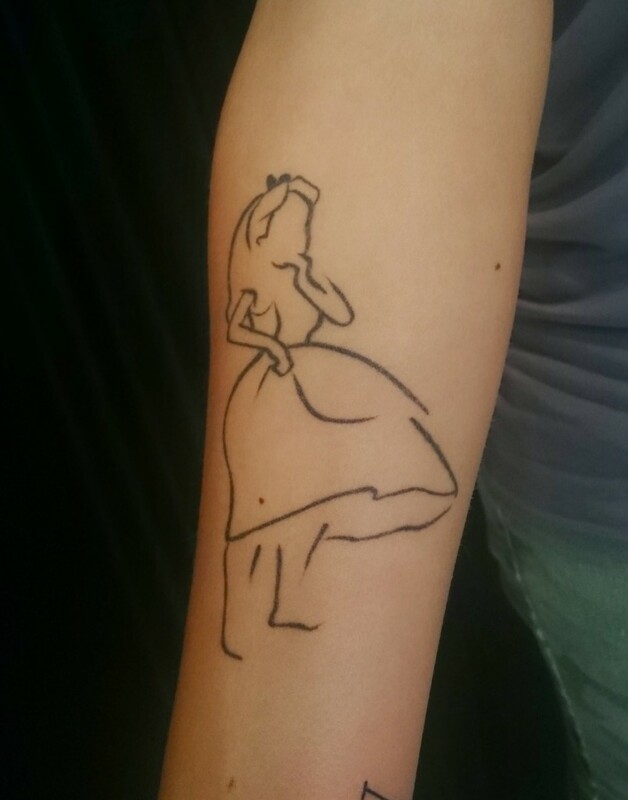 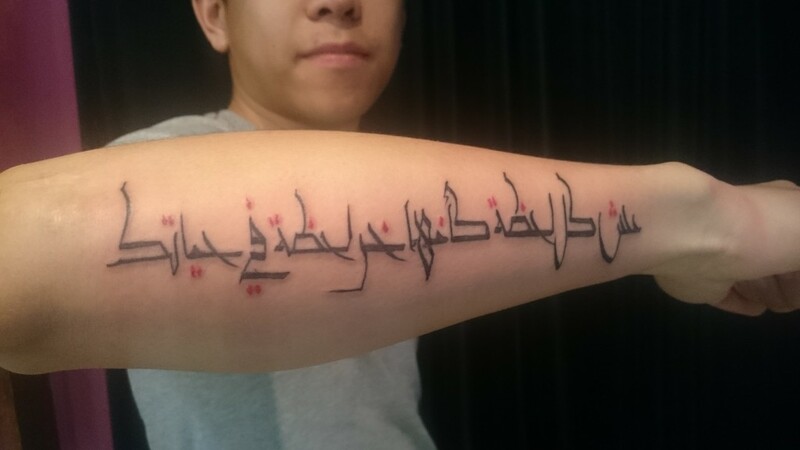 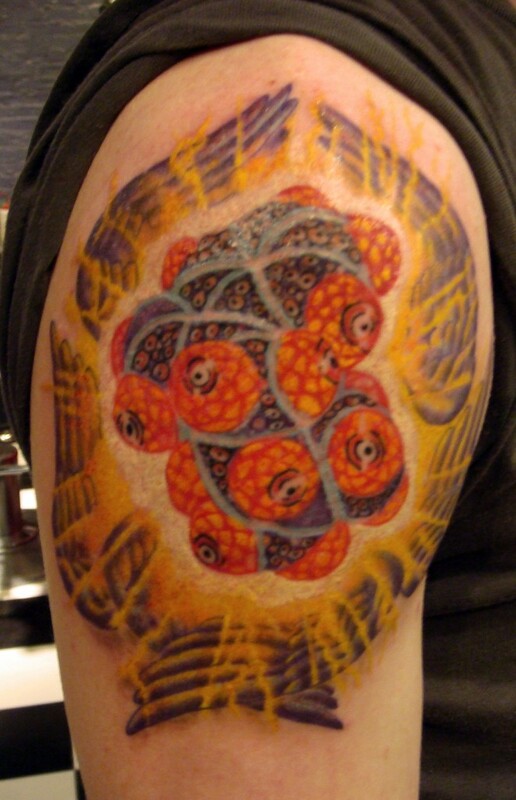 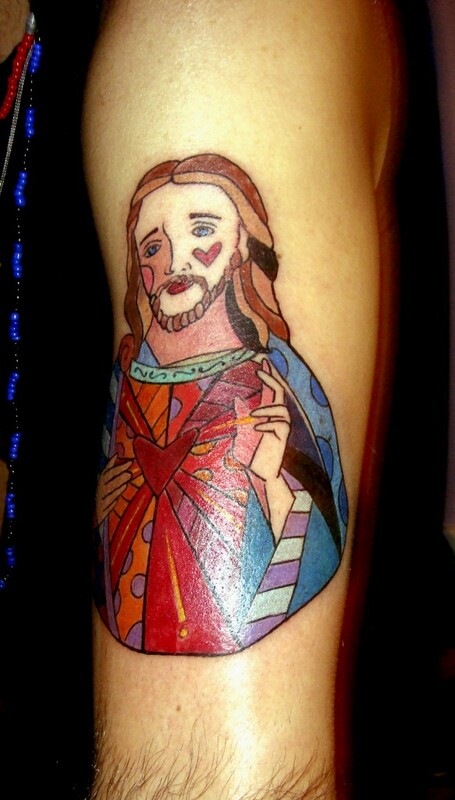 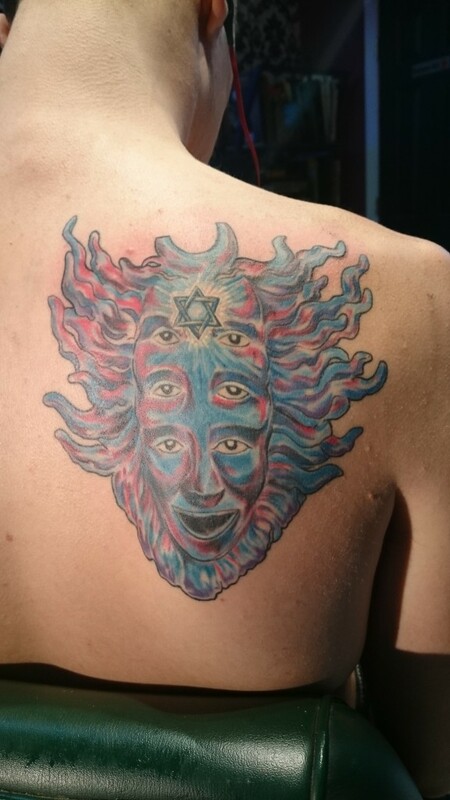 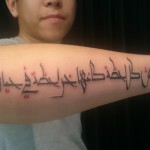 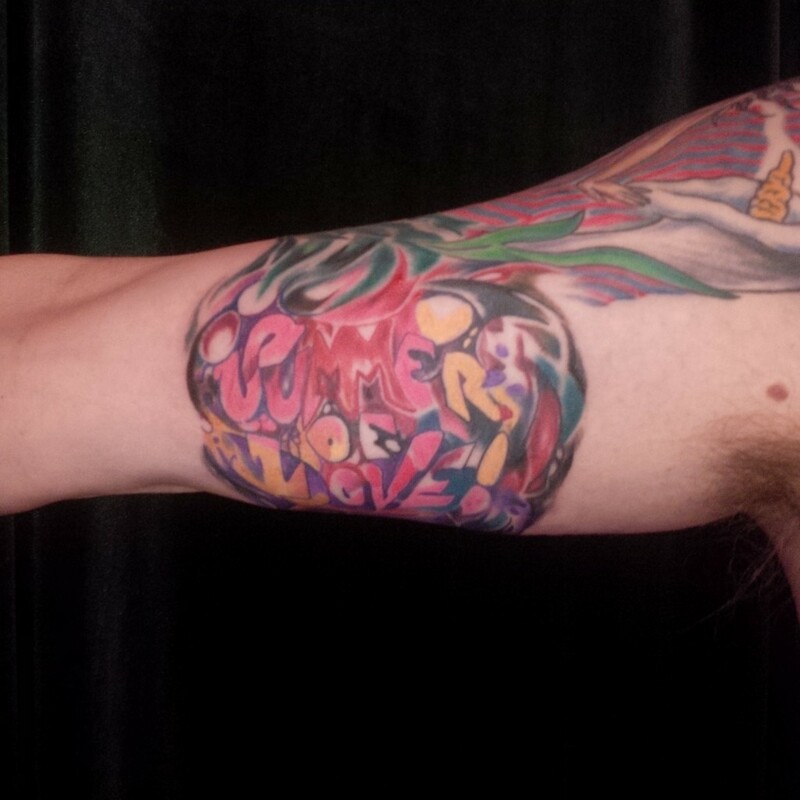 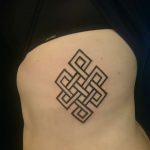 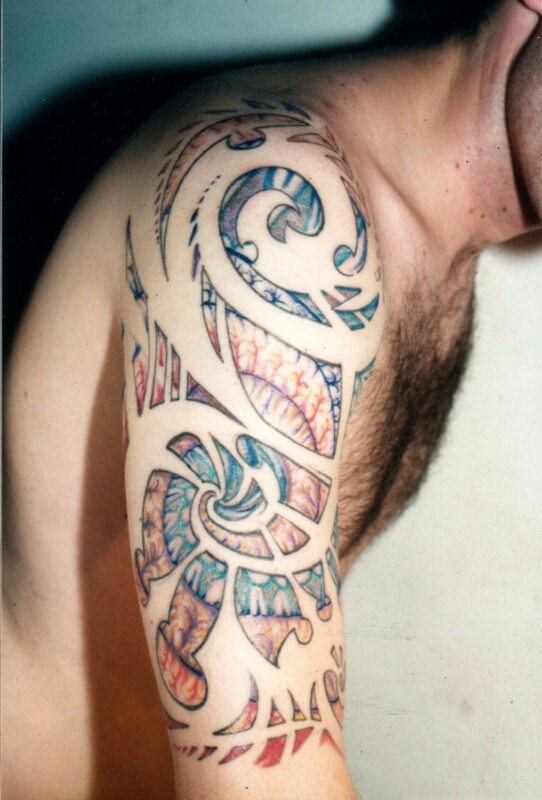 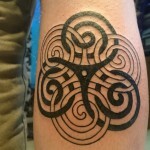 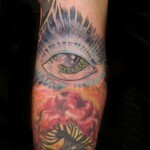 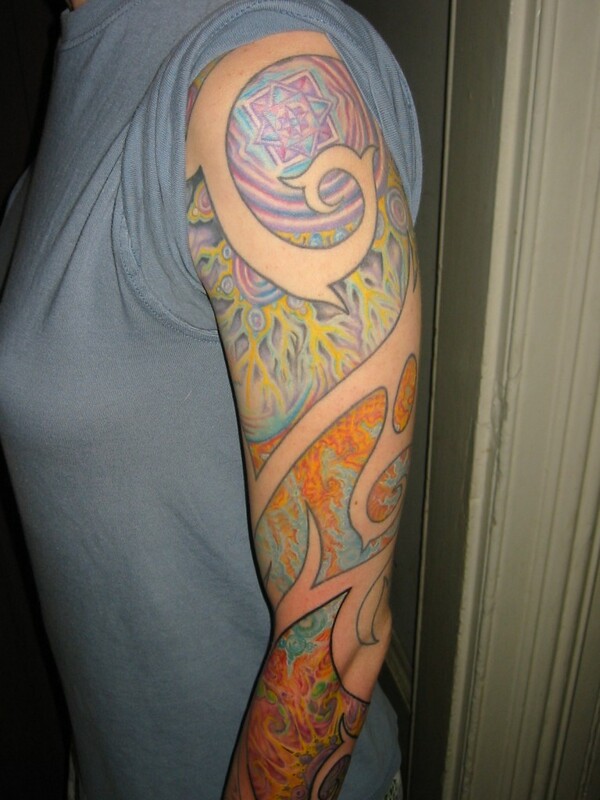 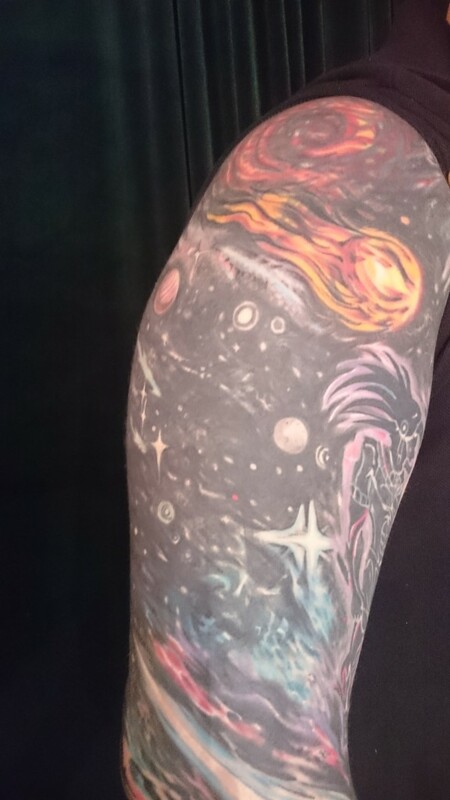 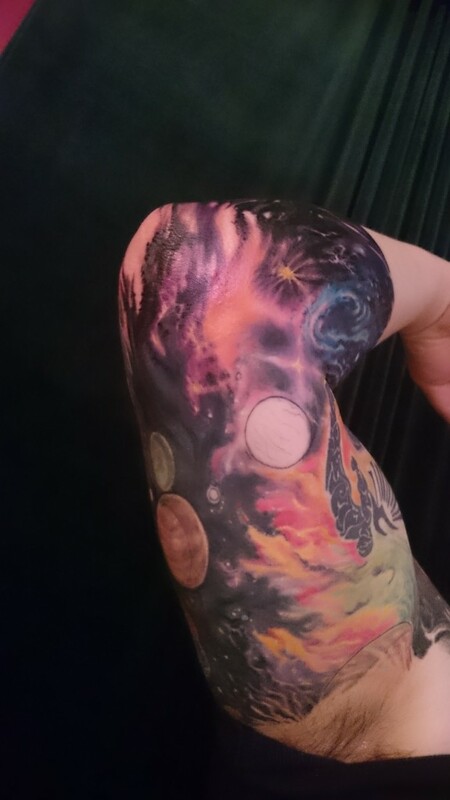 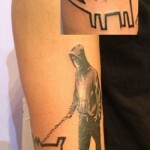 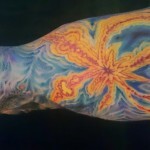 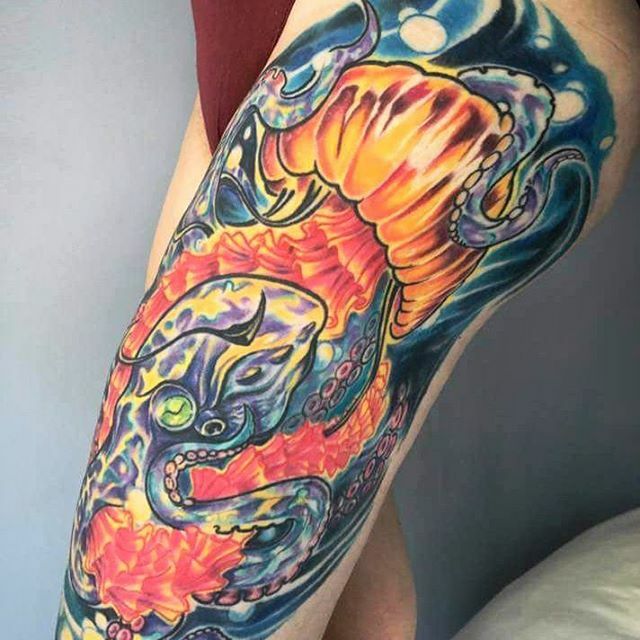 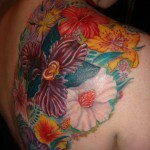 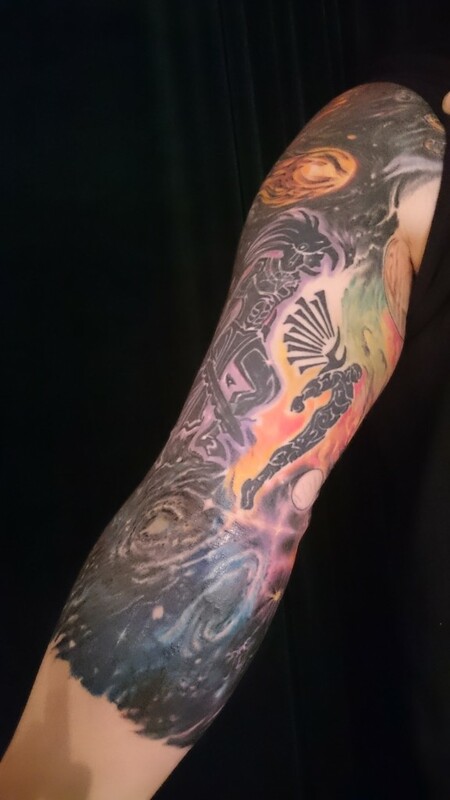 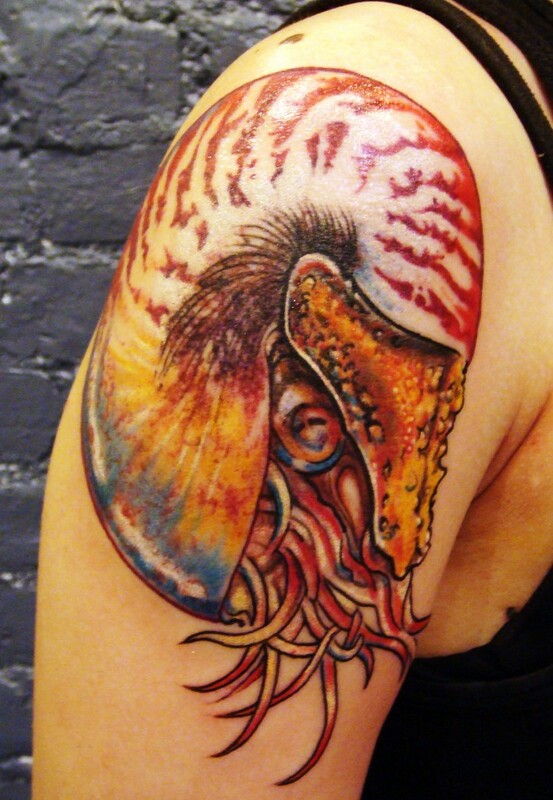 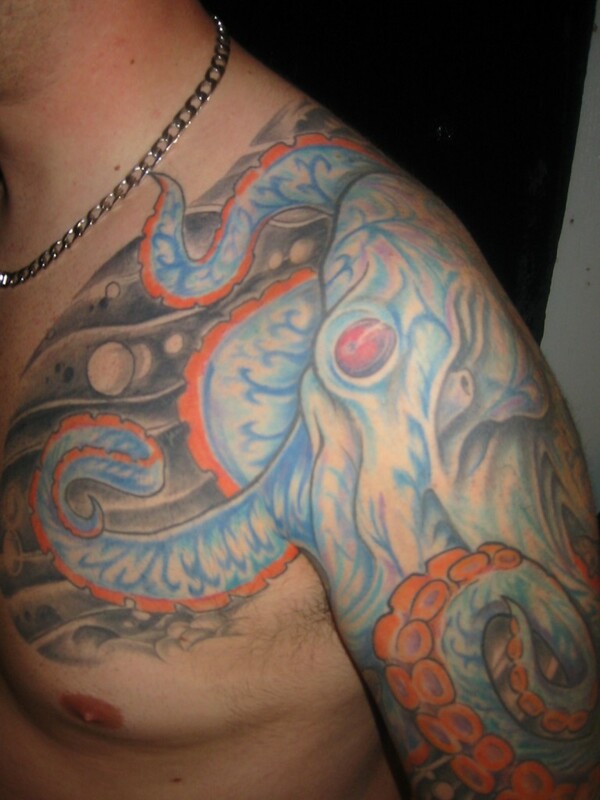 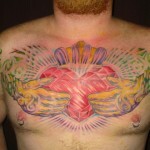 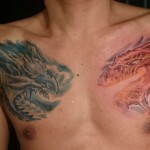 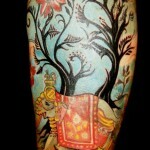 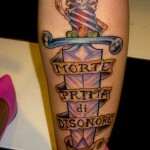 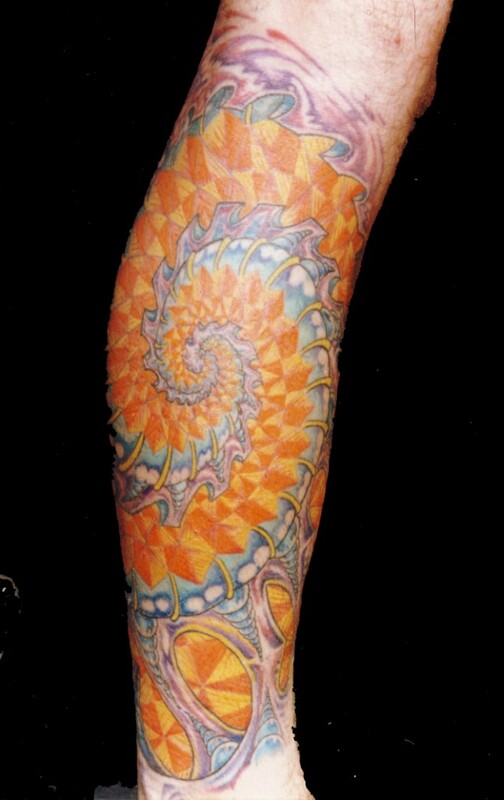 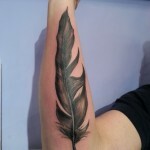 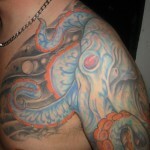 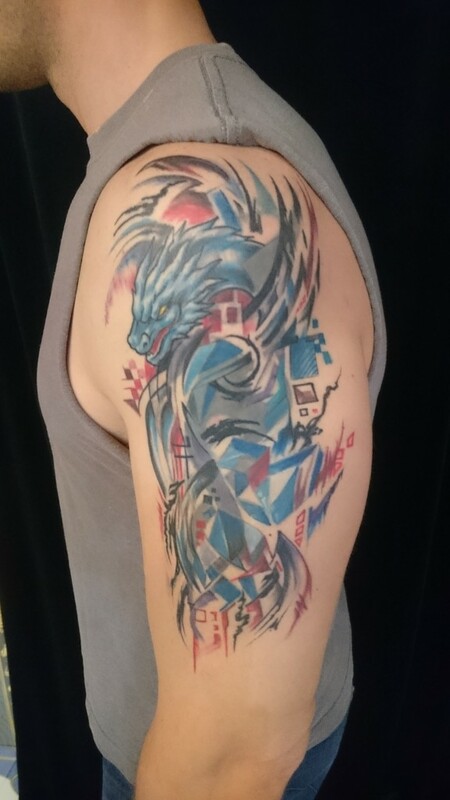 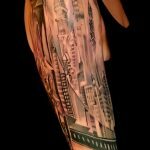 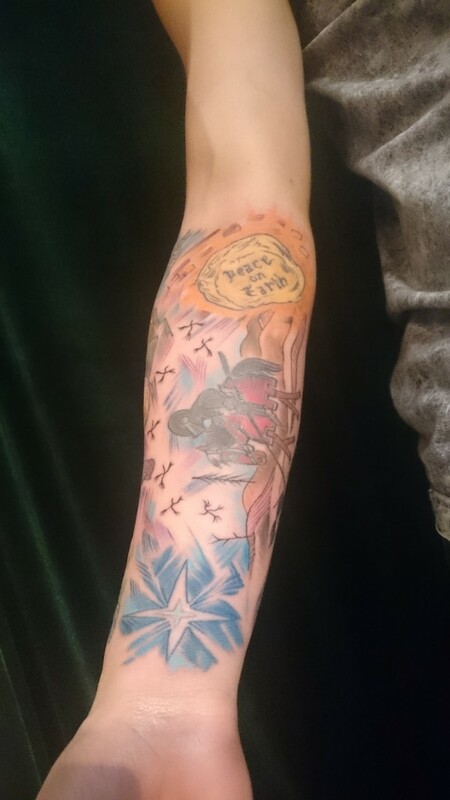 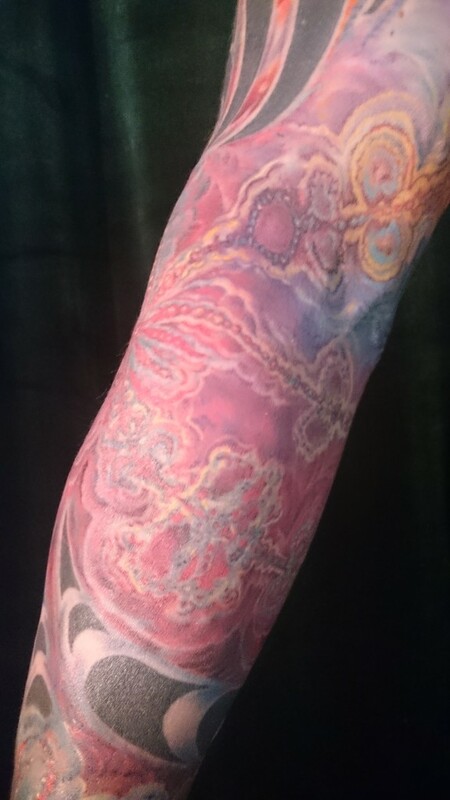 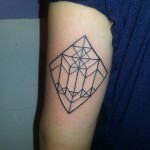 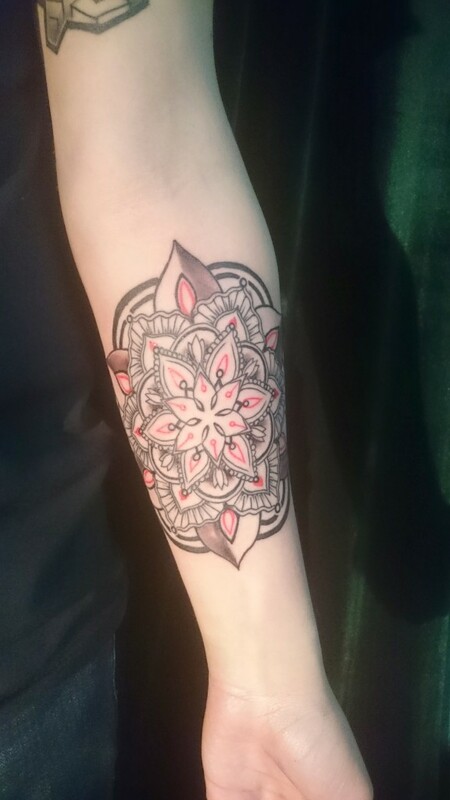 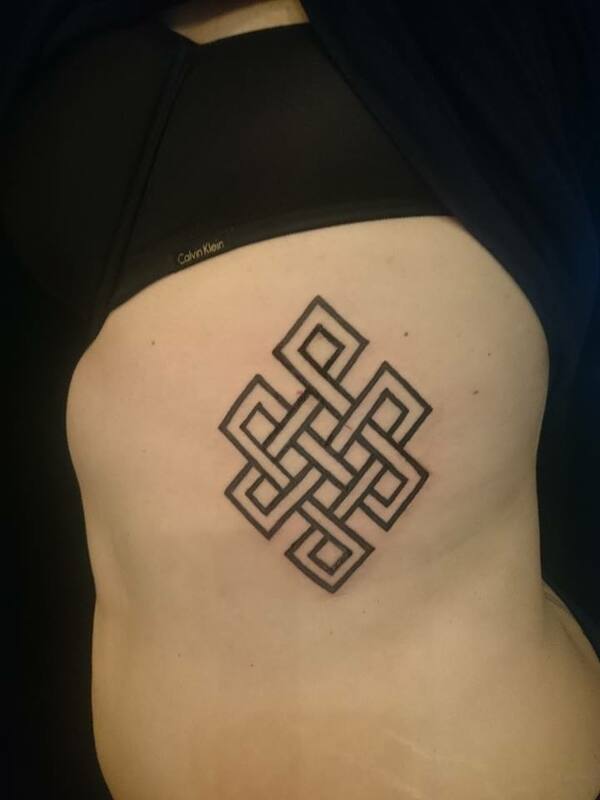 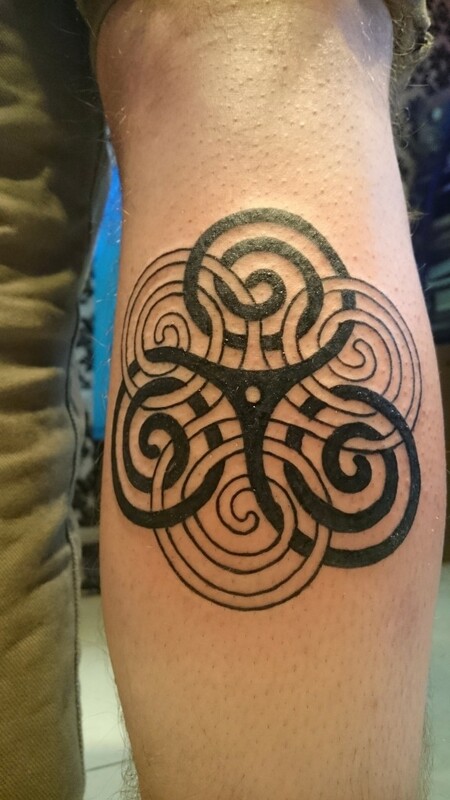 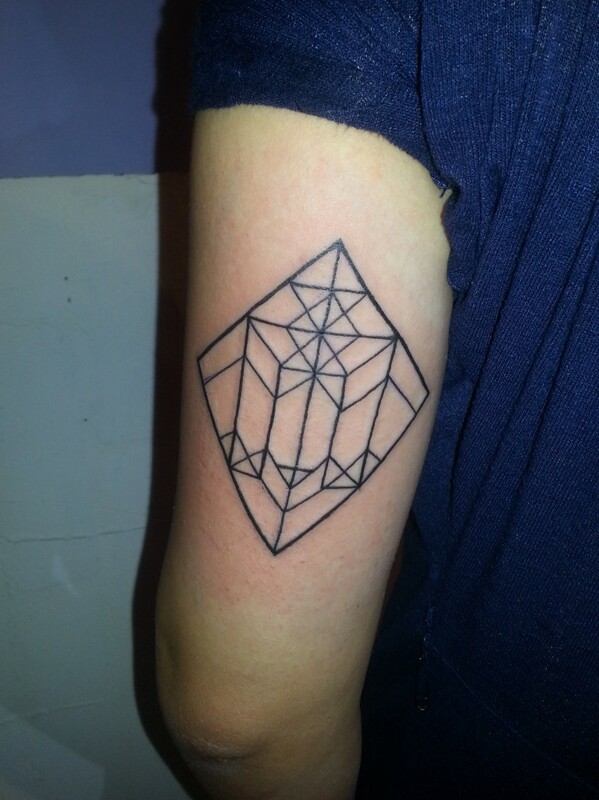 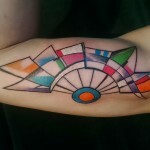 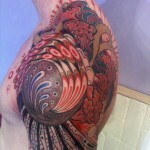 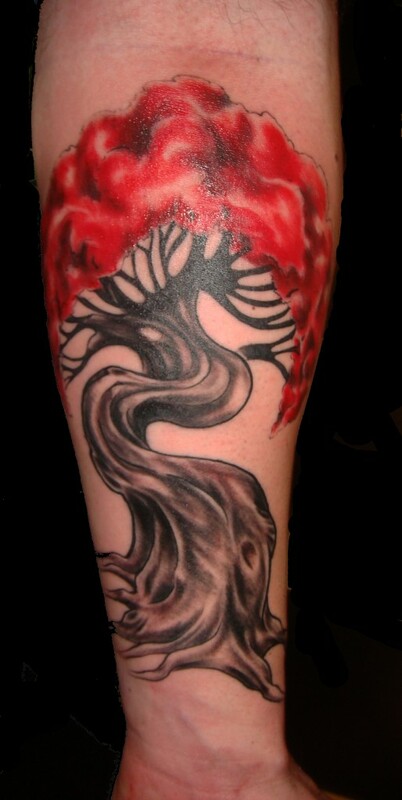 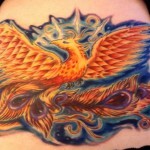 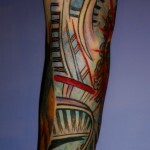 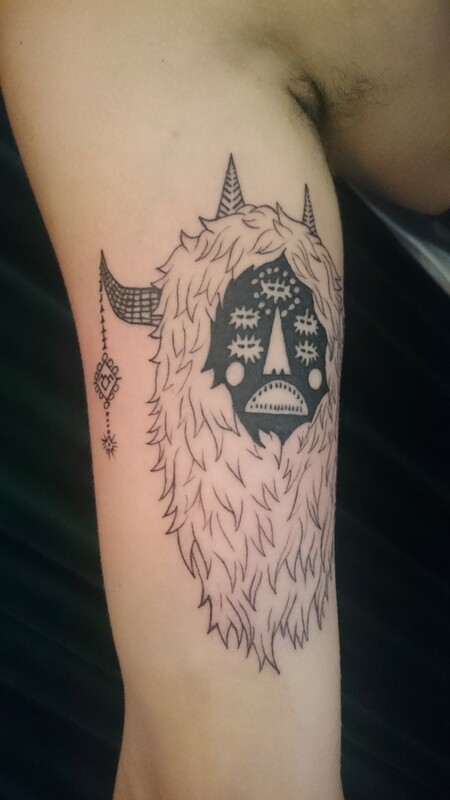 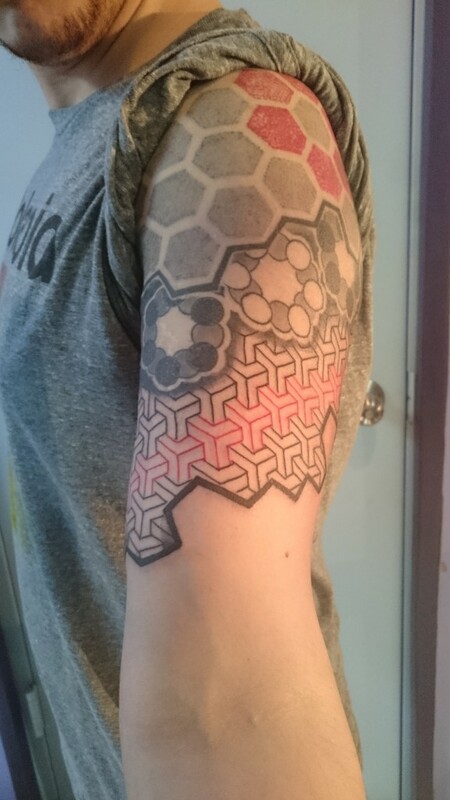 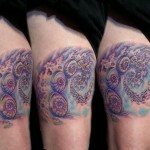 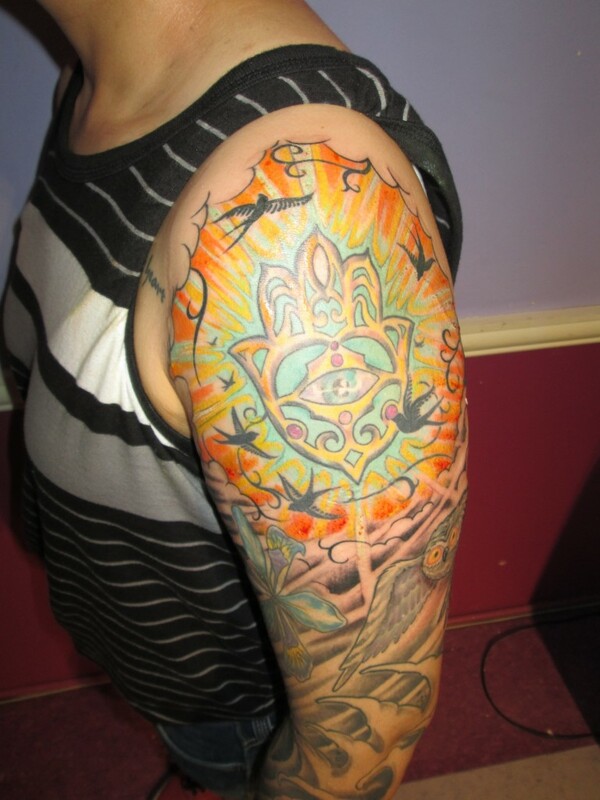 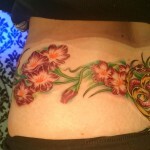 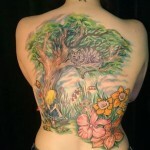 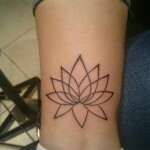 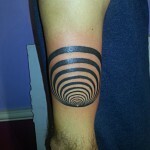 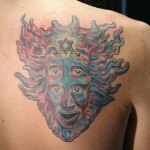 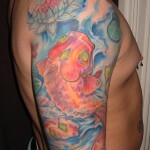 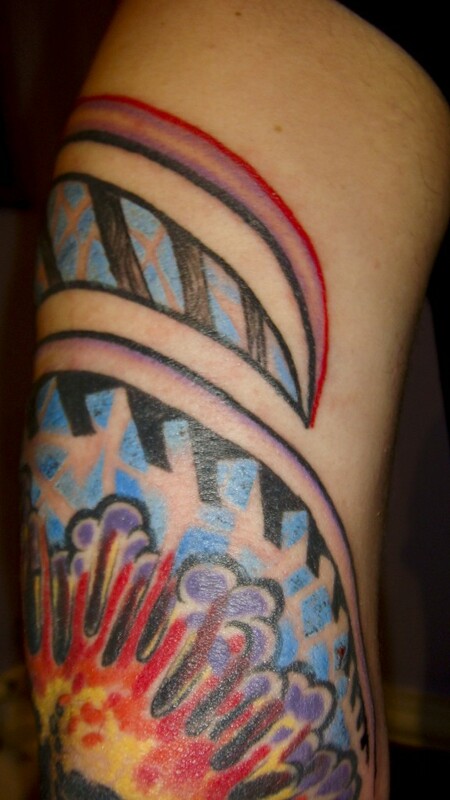 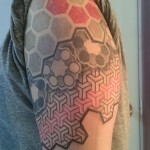 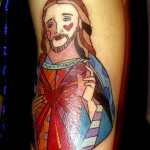 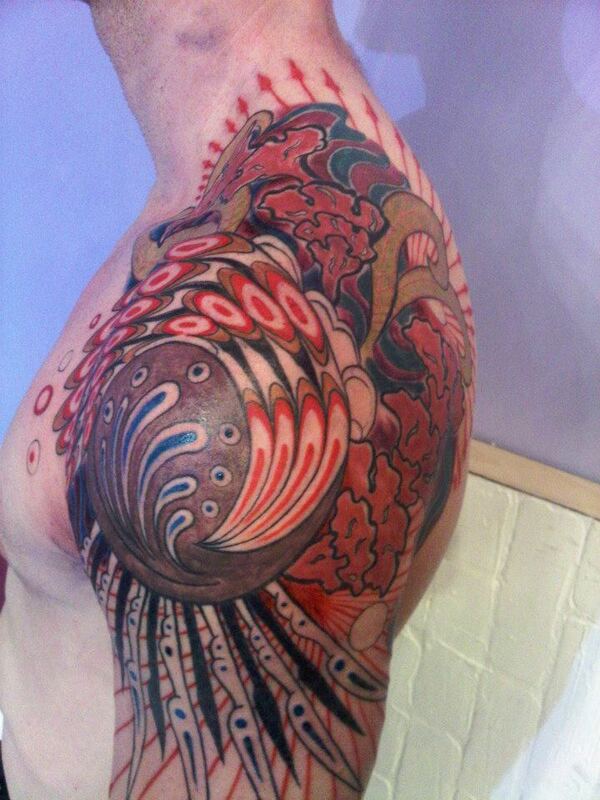 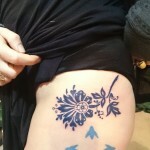 His specialty is in large-scale, modern tattoo art incorporating rich colors and fractal and geometric patterns.